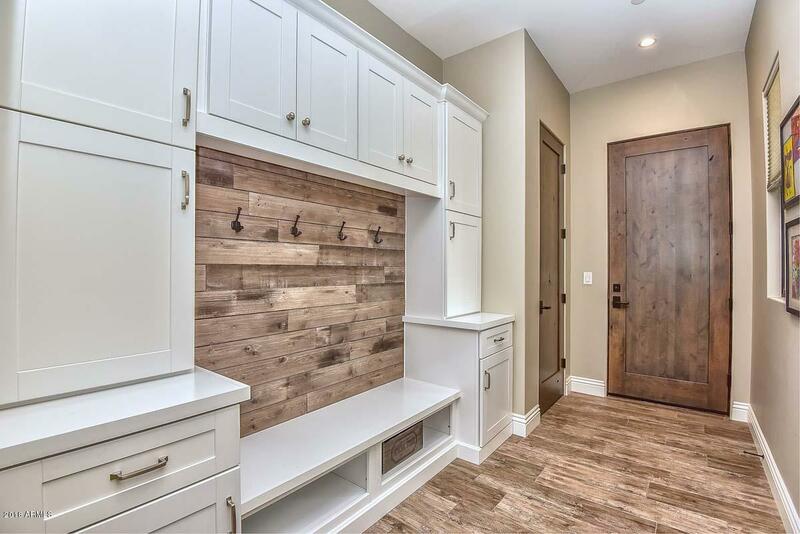 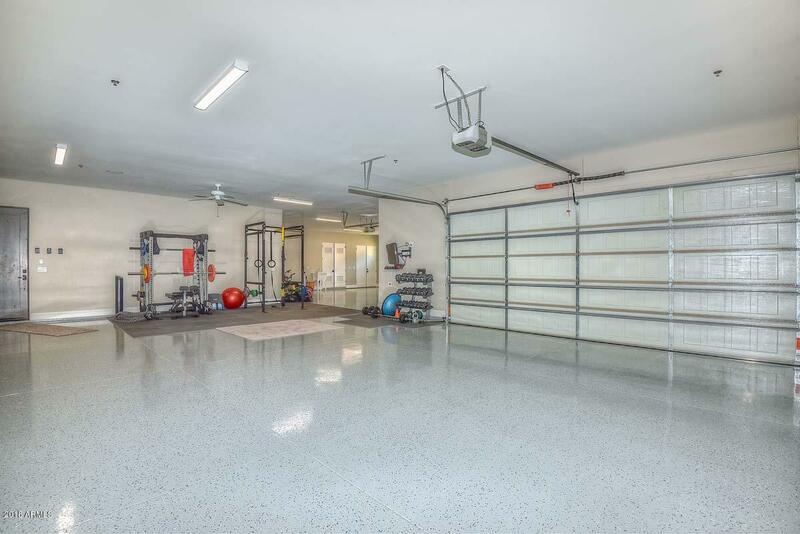 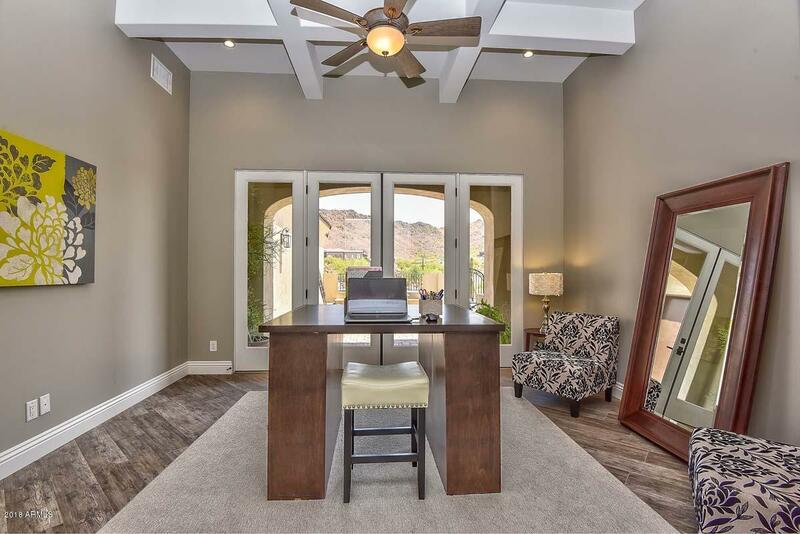 Nestled behind the gates of the highly sought after Alvamar community in Westwing Mountain, this 5 bedroom/6.5 bathroom custom home features almost 5700 square feet of very livable space. 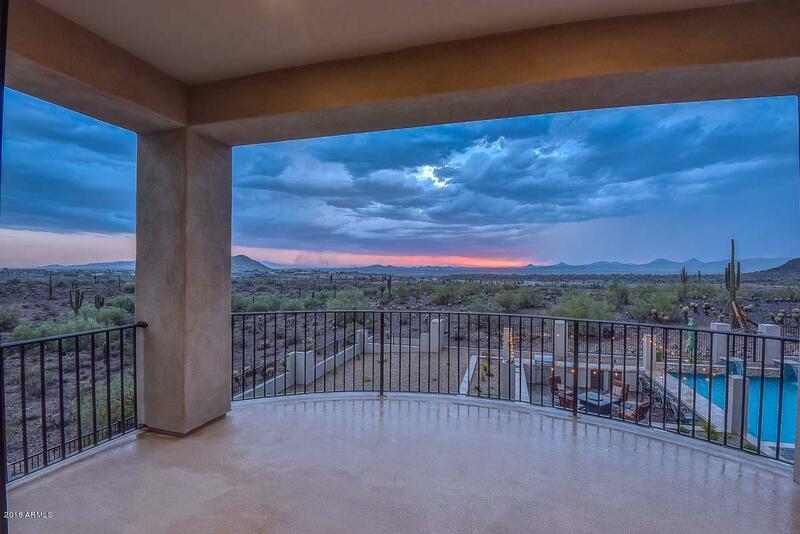 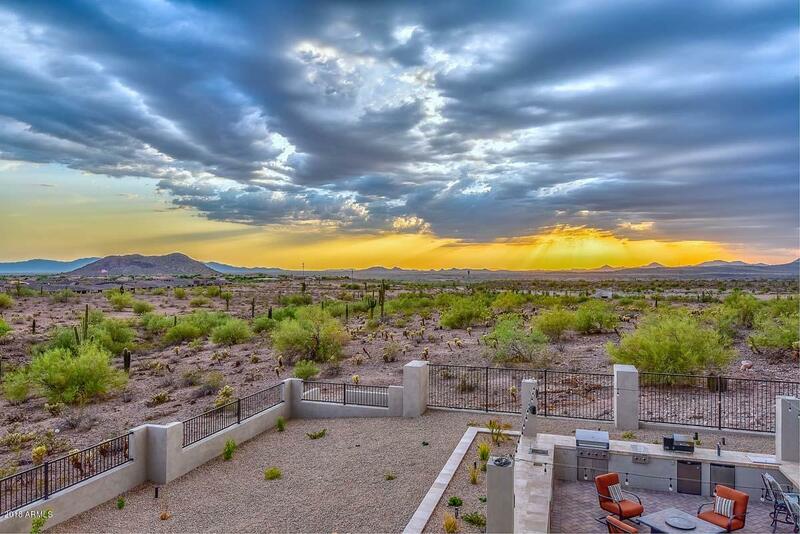 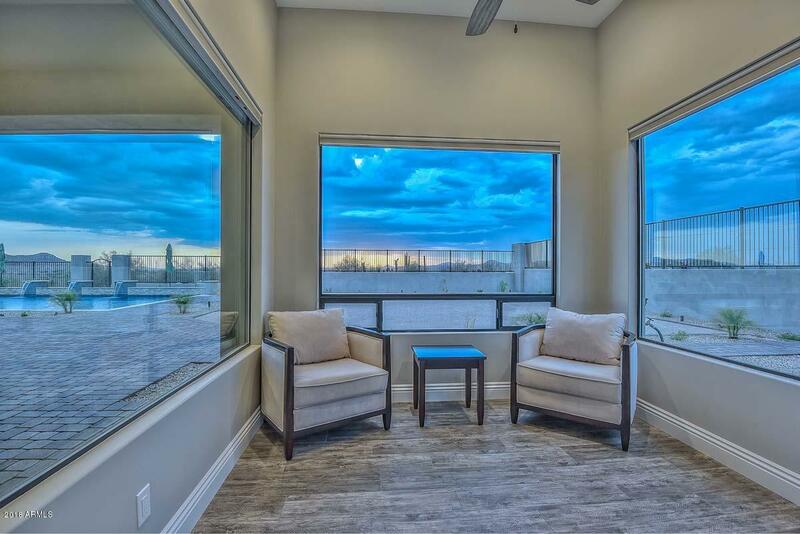 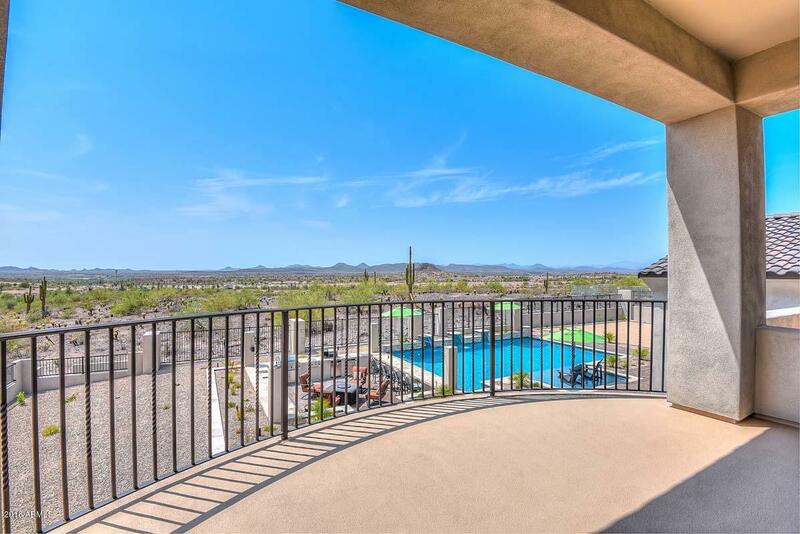 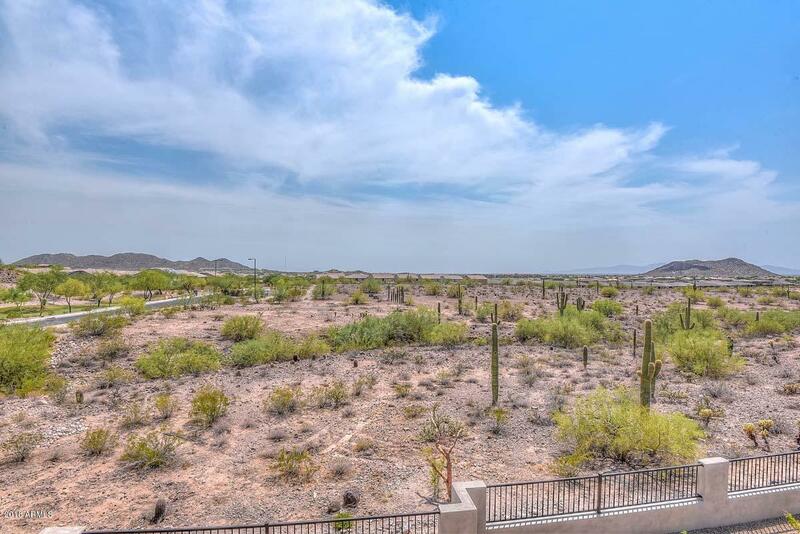 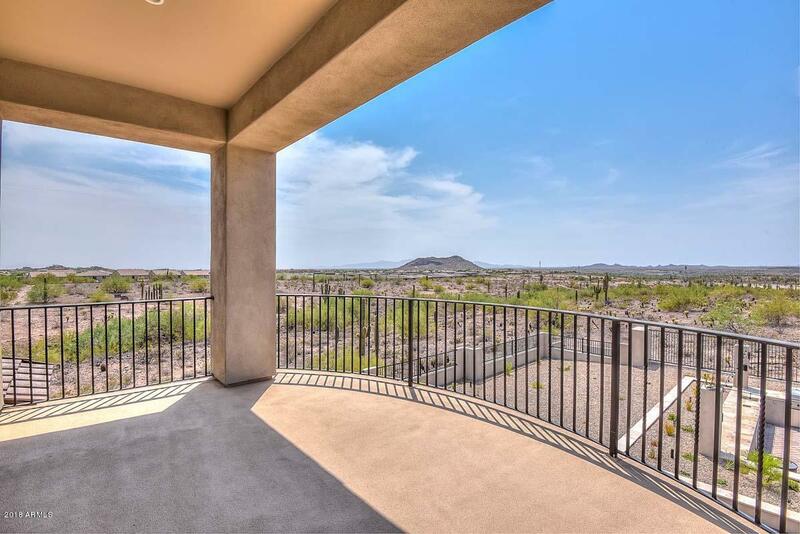 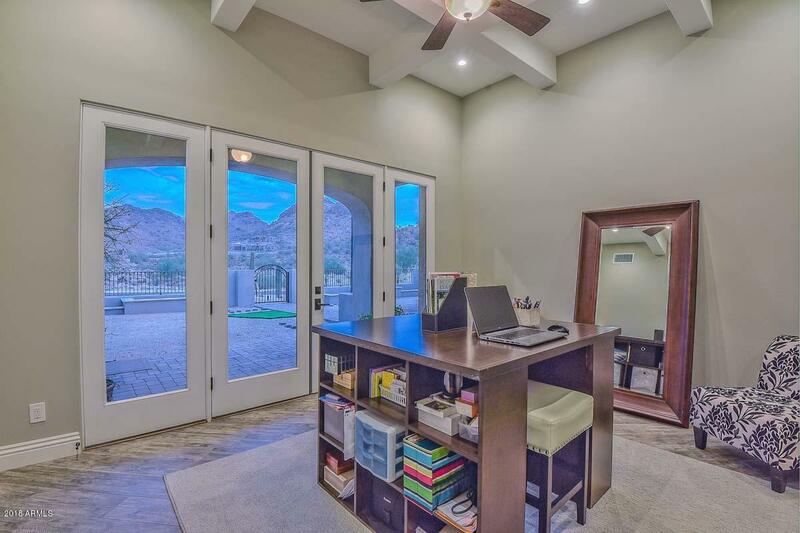 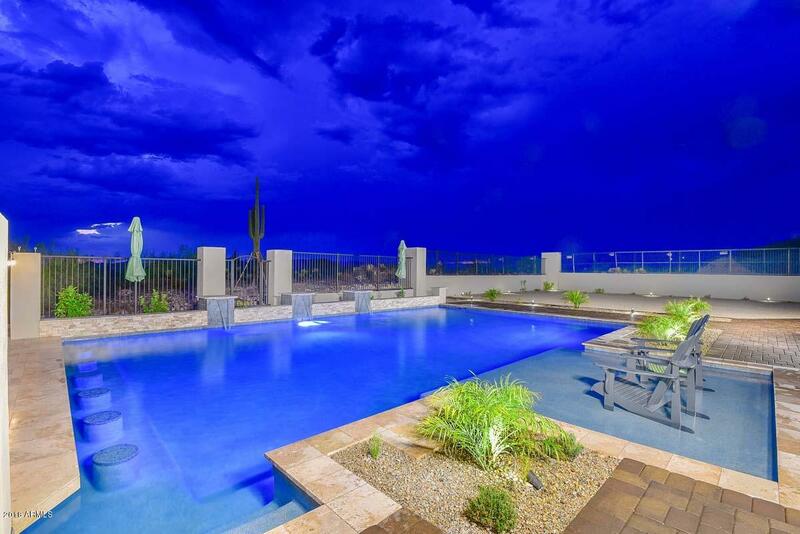 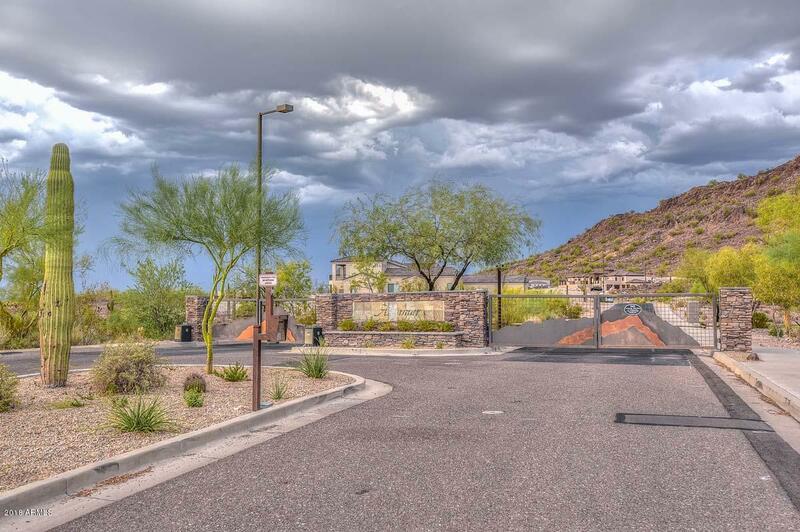 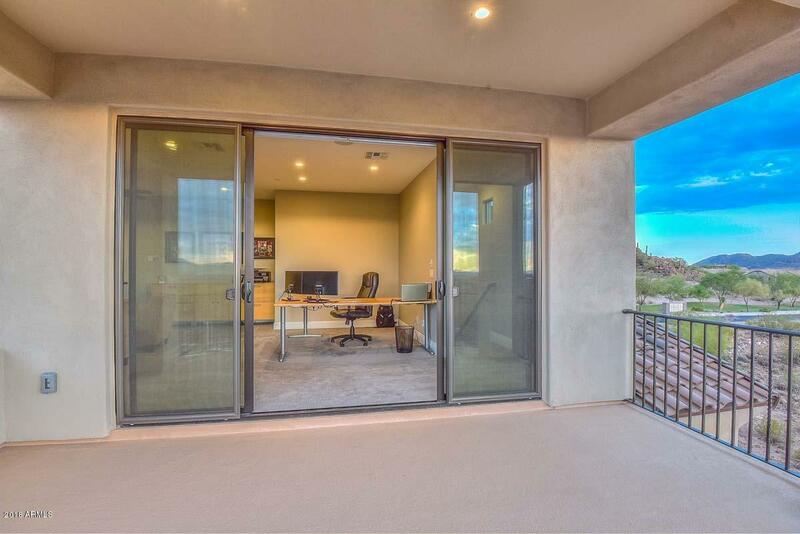 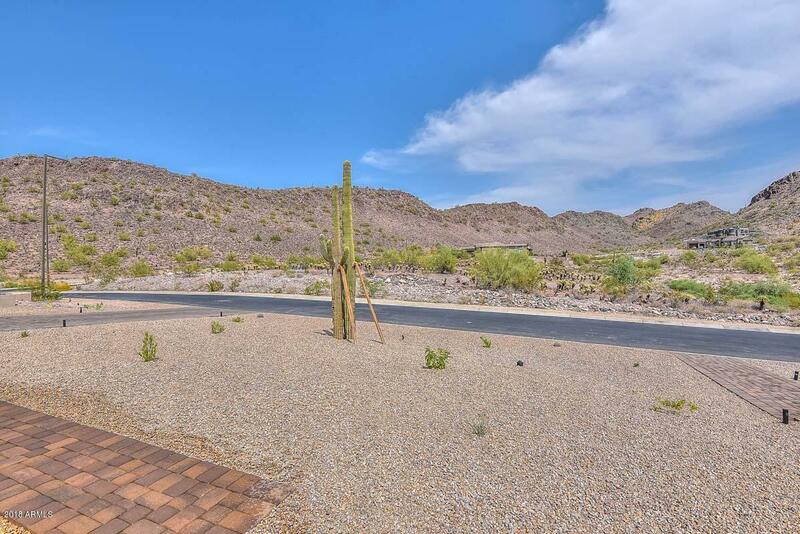 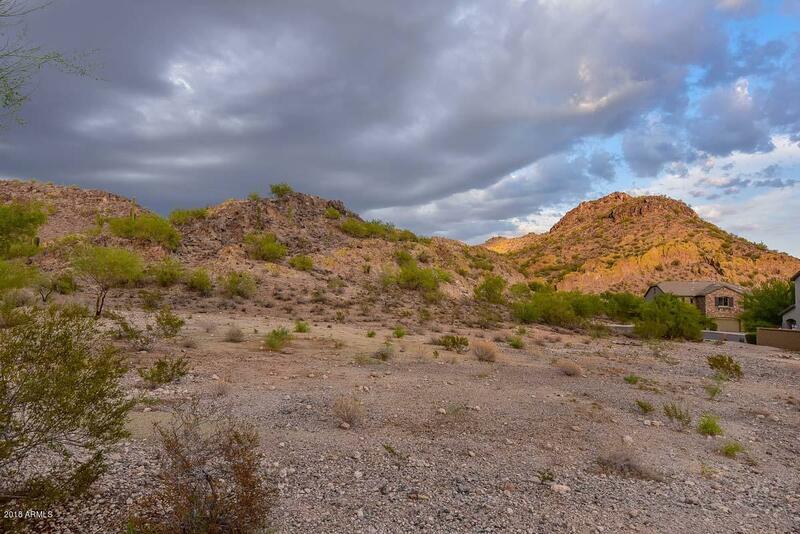 You have the gorgeous Sonoran Desert as well as mountain and city views from everywhere you look!! 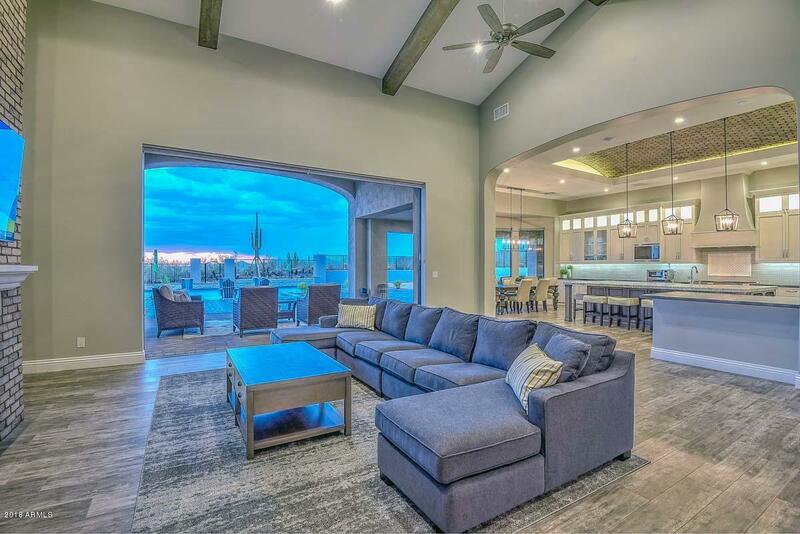 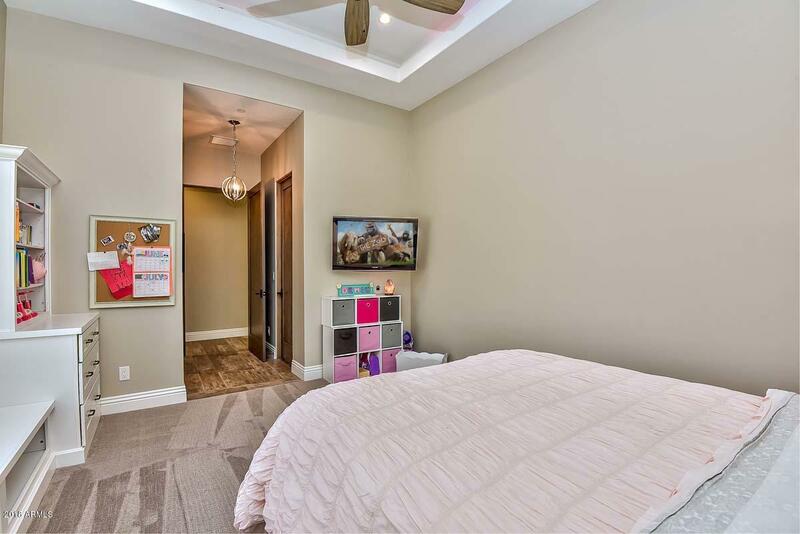 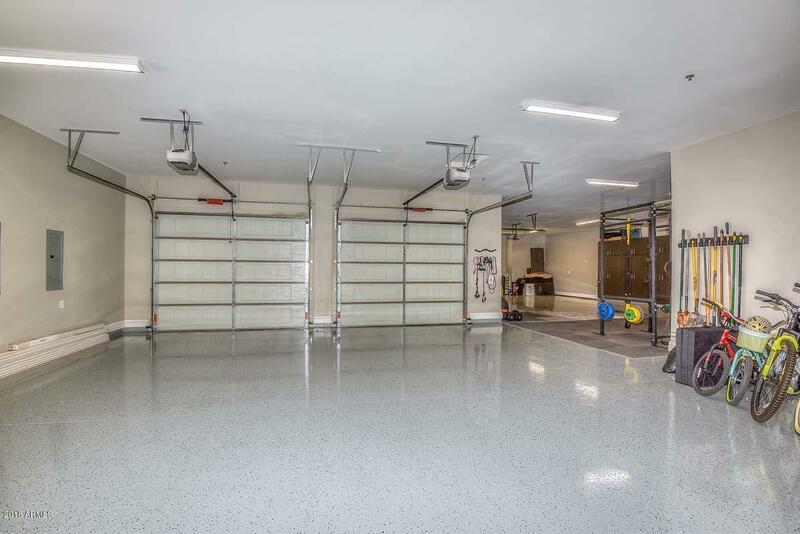 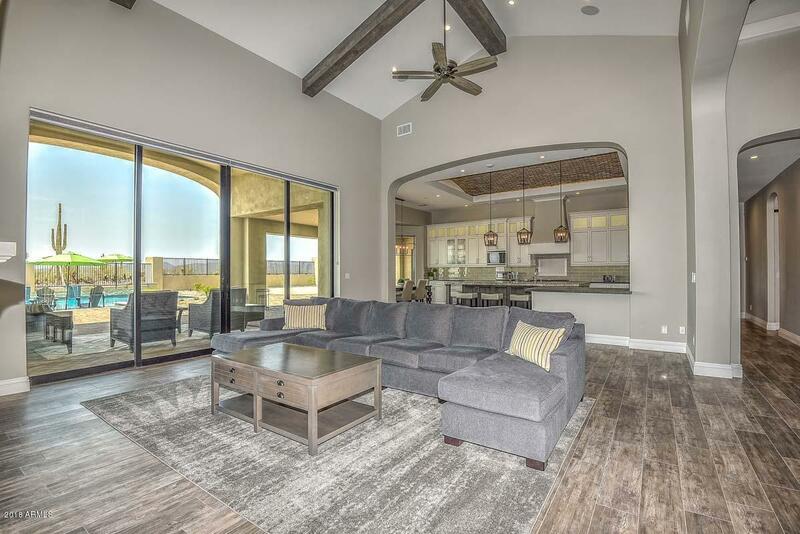 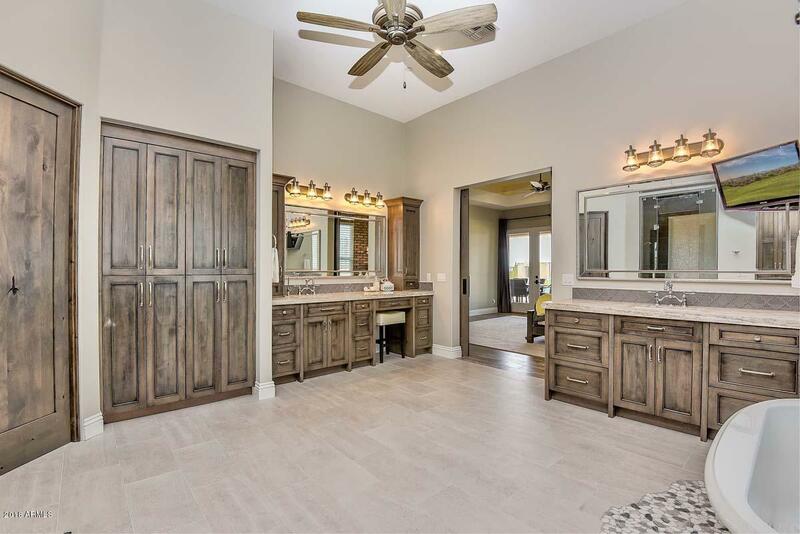 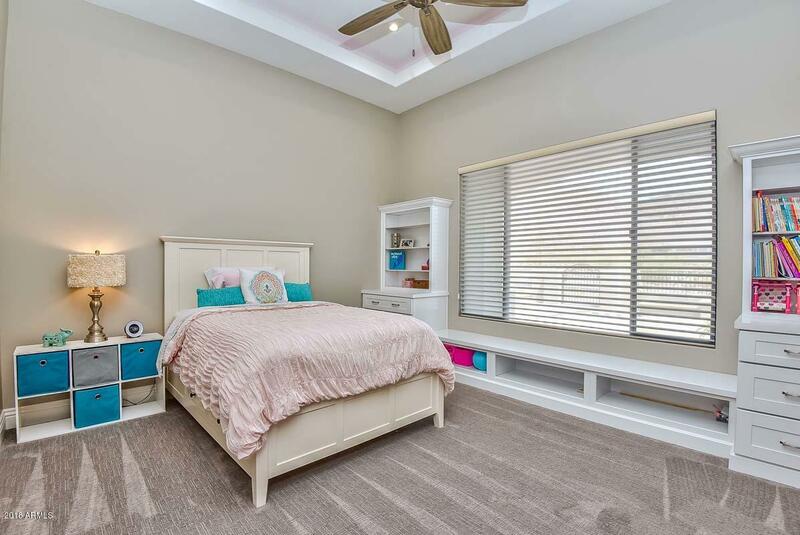 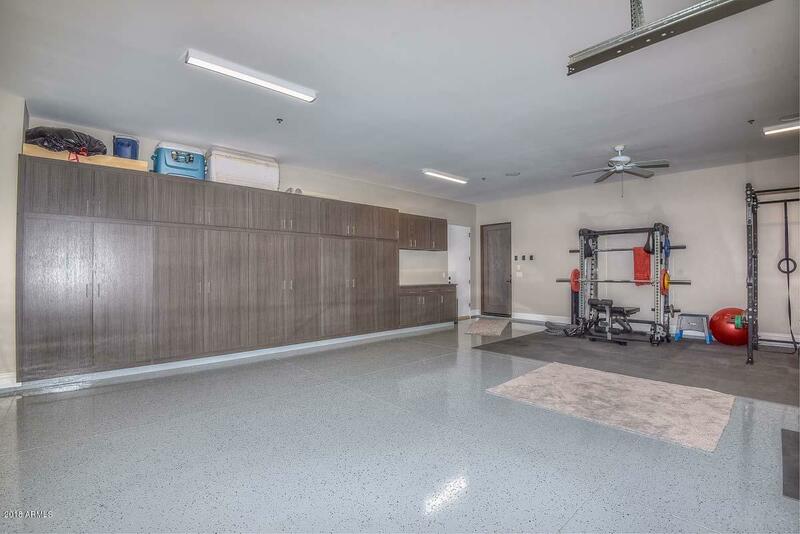 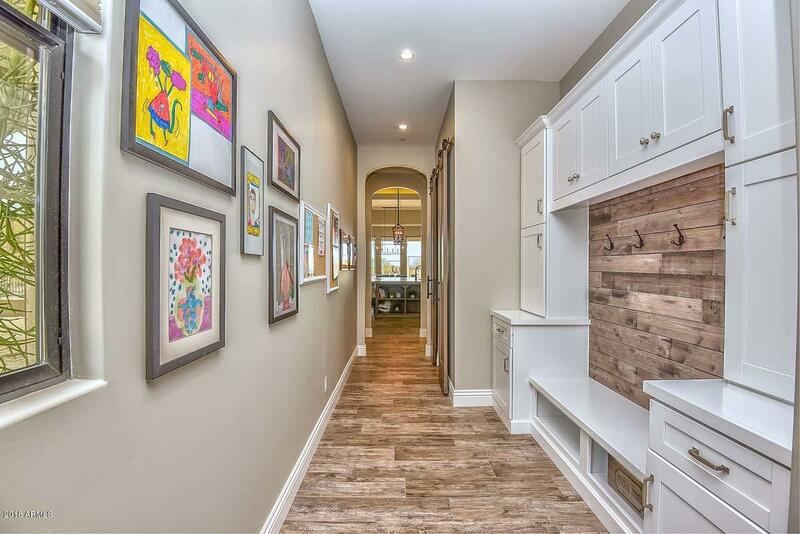 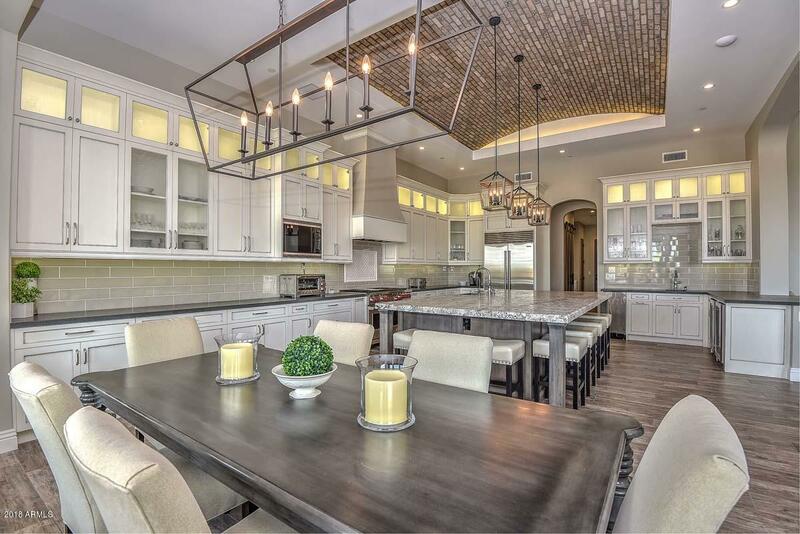 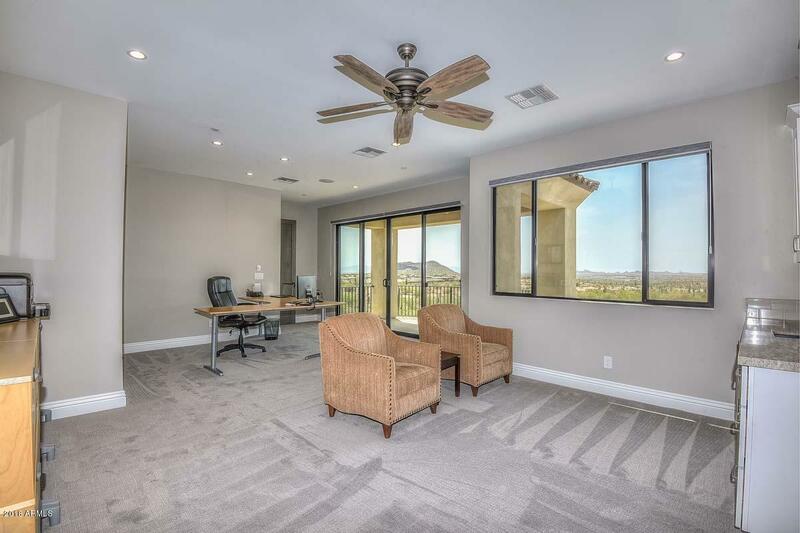 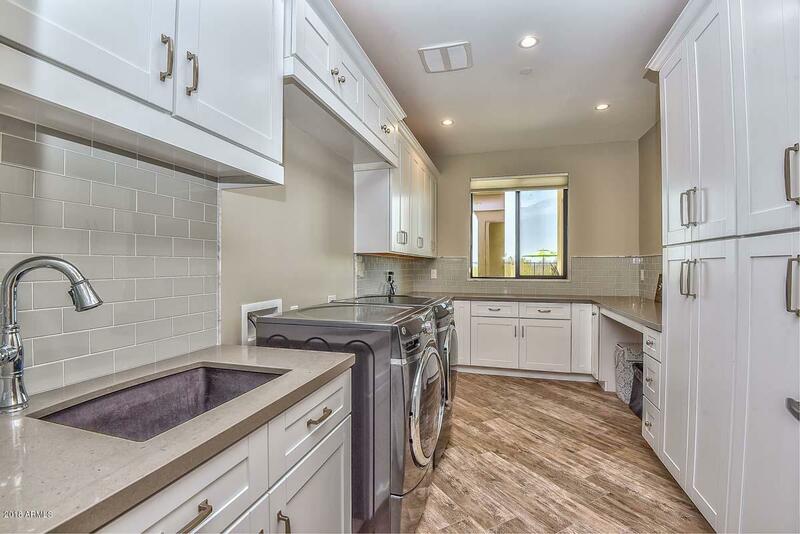 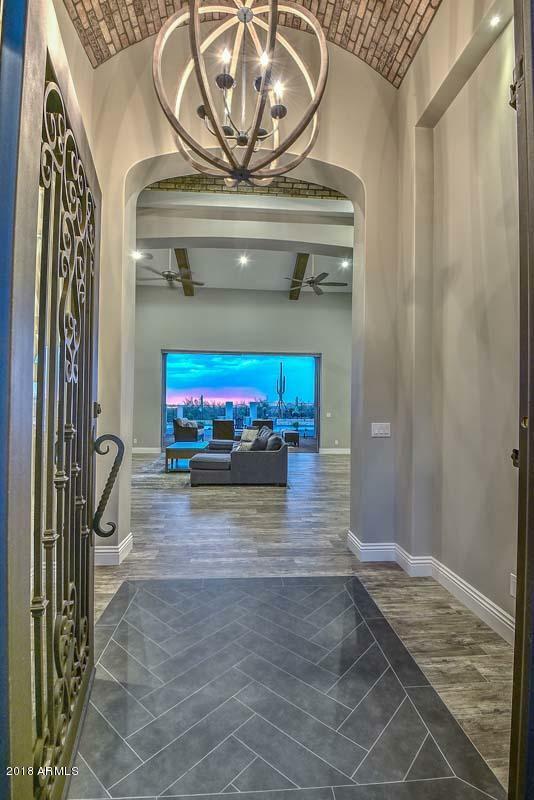 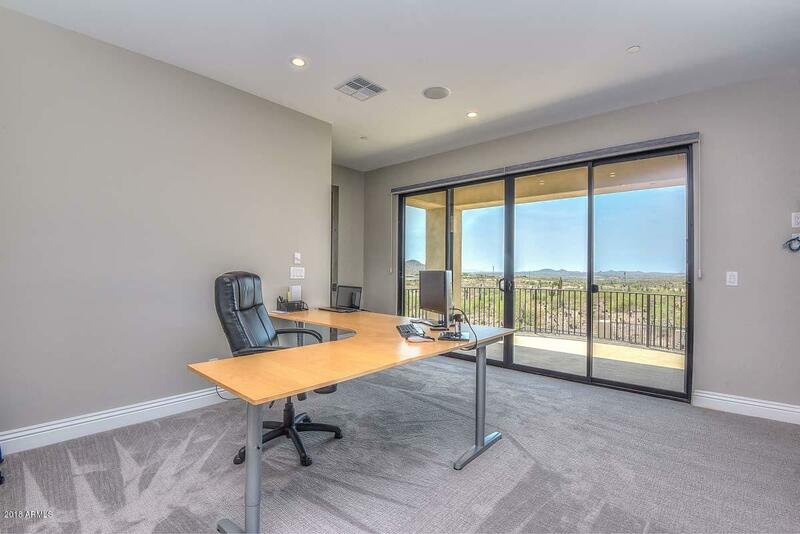 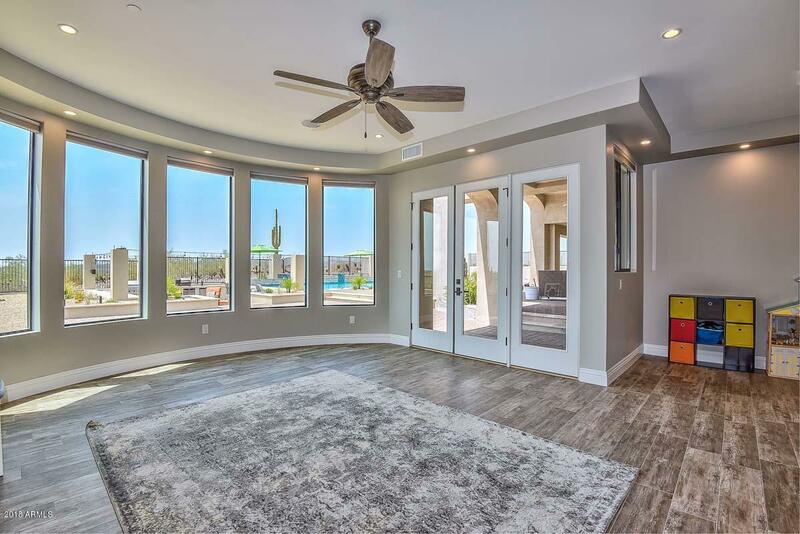 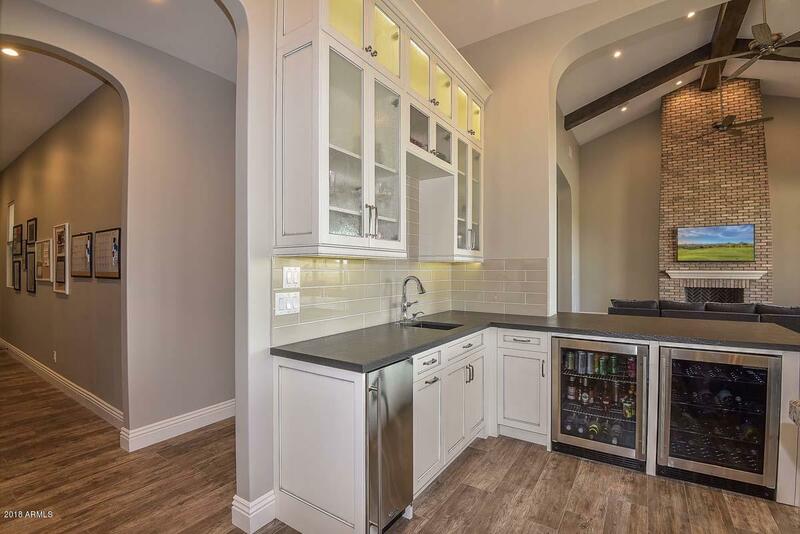 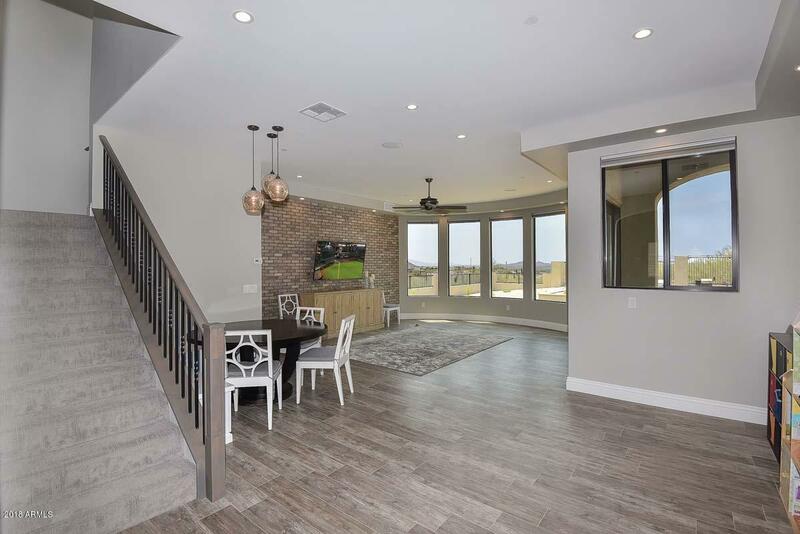 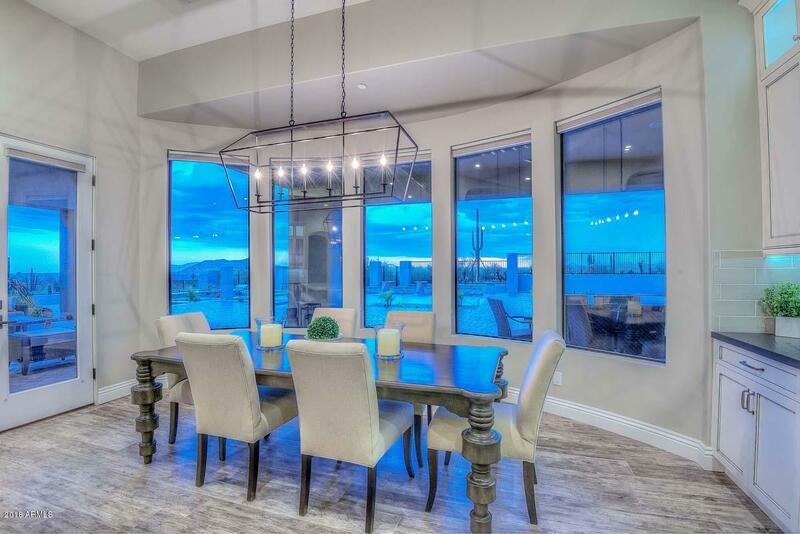 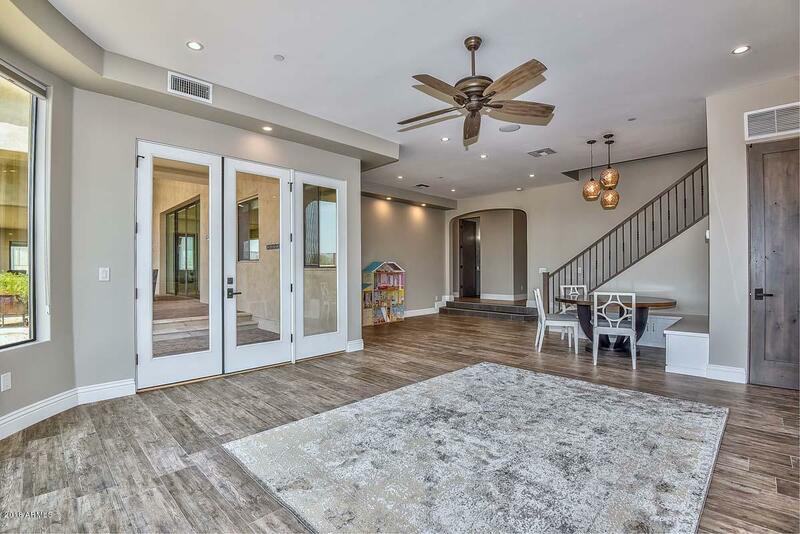 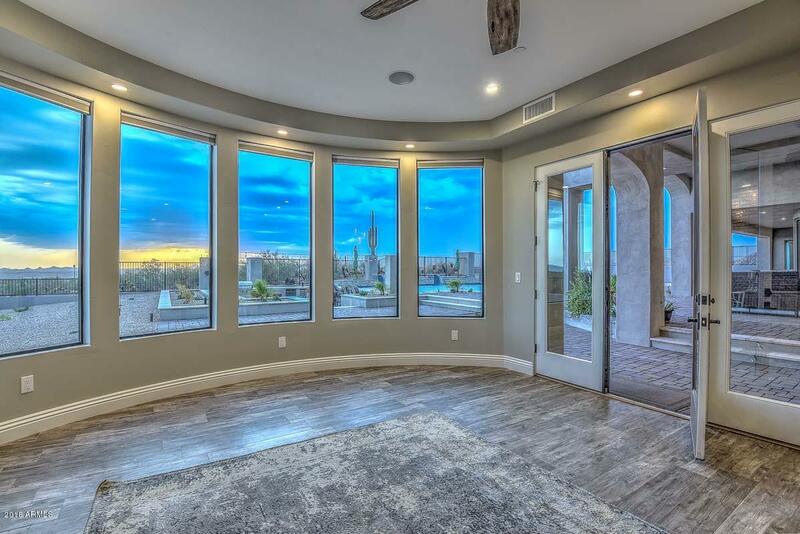 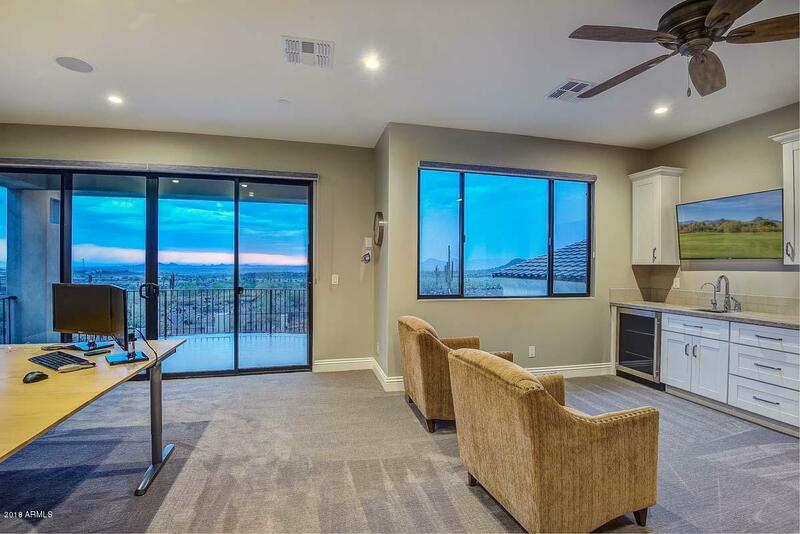 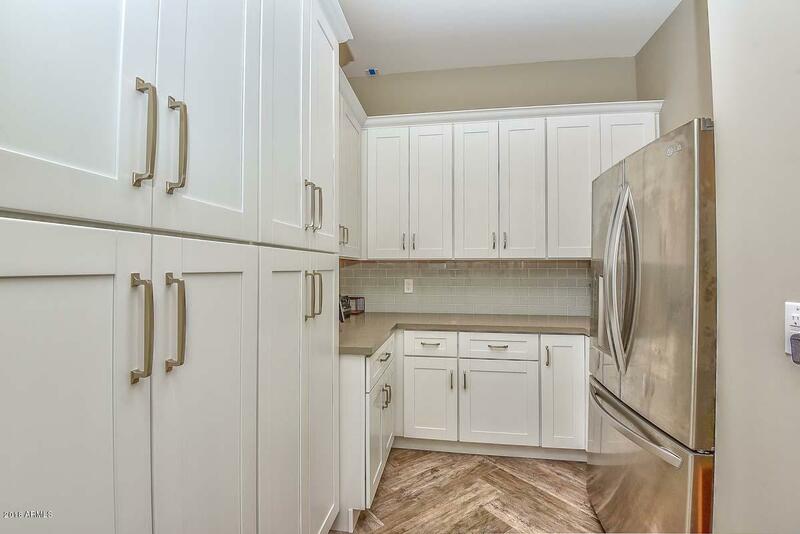 Step into this house and you will immediately notice the soothing neutral colors, inlaid tile flooring, Amazing designer ceilings and that stunning view through the retractable sliding doors straight to the outdoor living spaces. 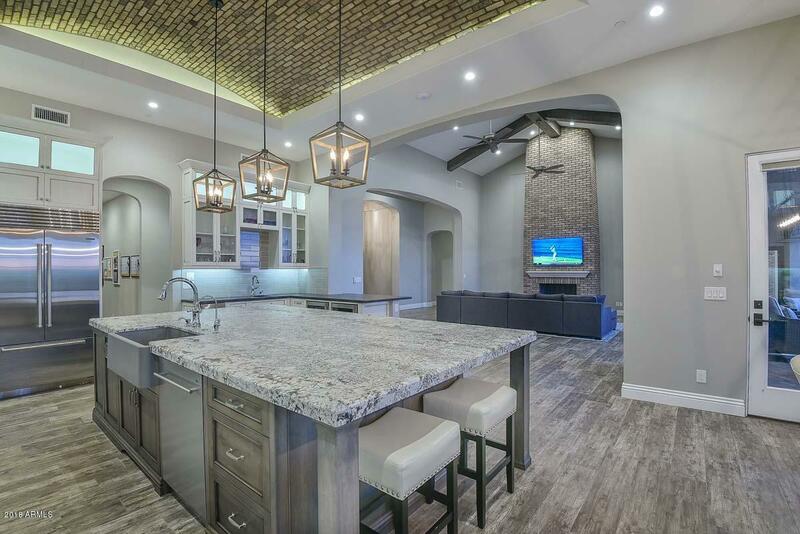 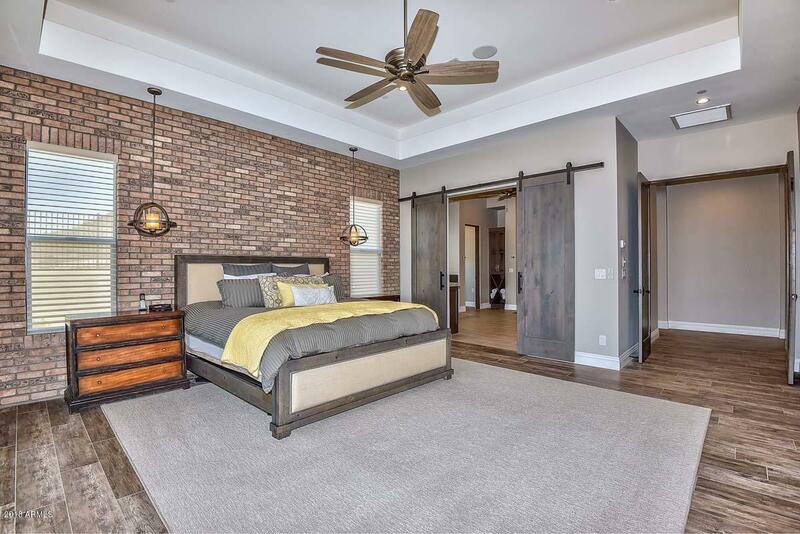 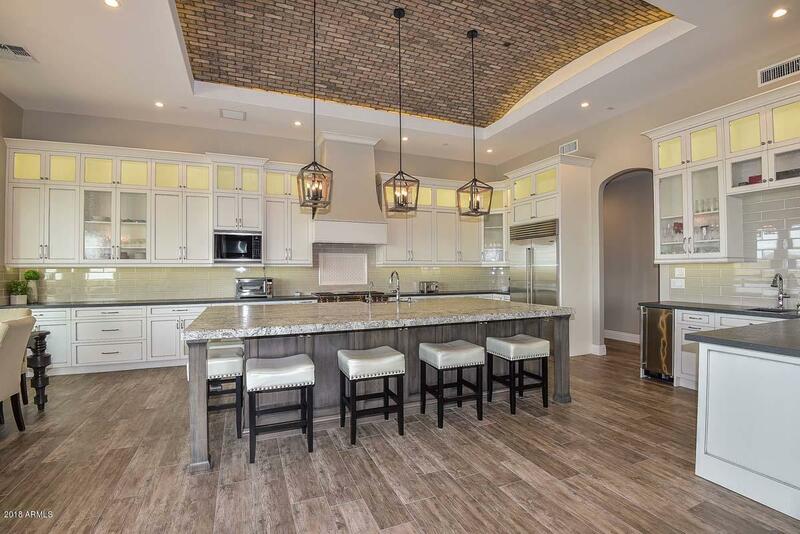 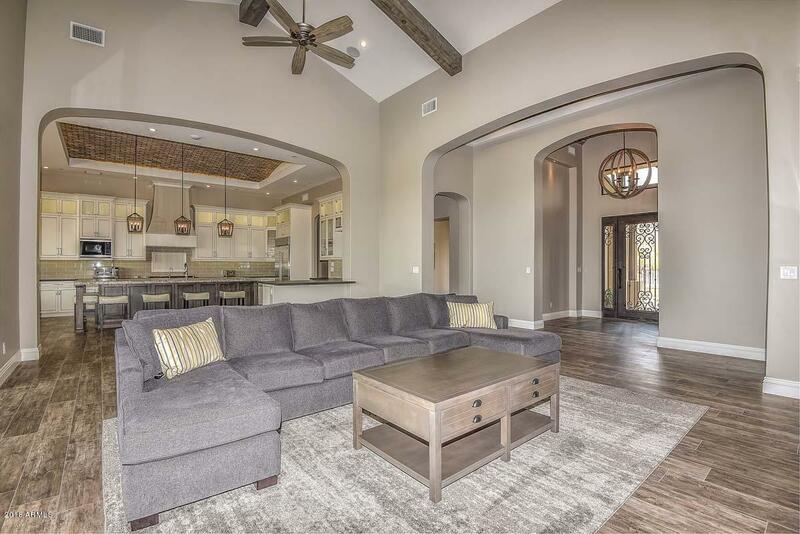 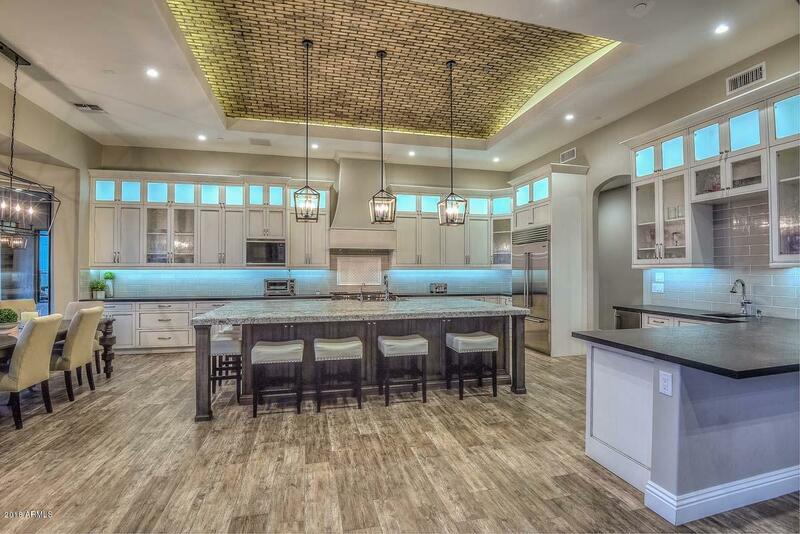 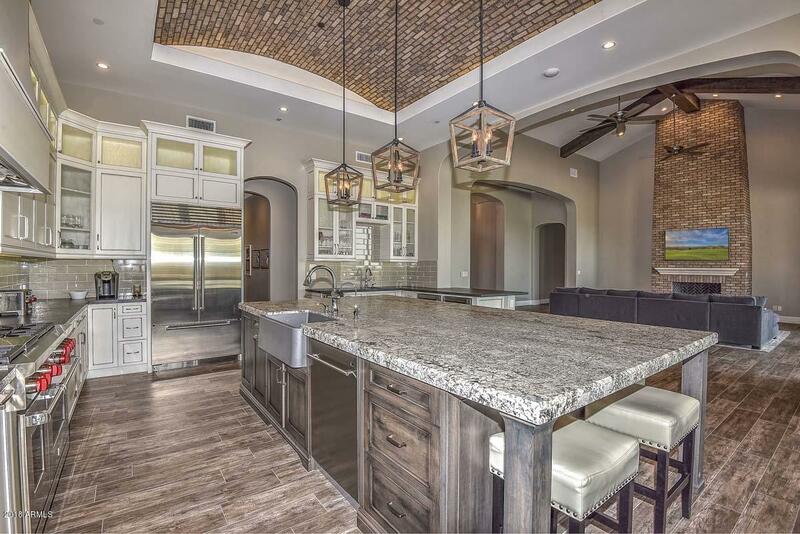 Beautiful open floor plan featuring a floor to ceiling brick fireplace, wood beam accents and graceful arched walls that lead to the gorgeous designer kitchen. 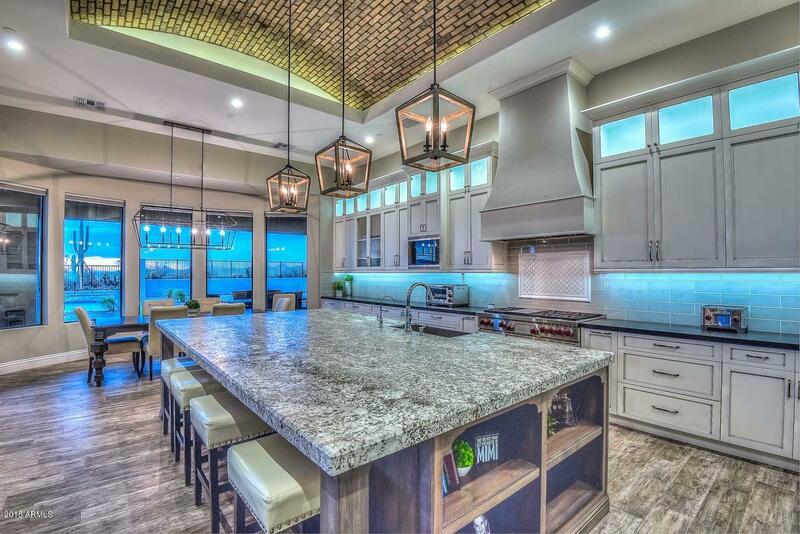 Once again you can't help but notice all of the attention to detail in this kitchen from thelarge seating island that is a dual compatible color with granite counter tops to the fabulous cabinets that feature glass accents, quartz perimeter counter tops, tile backsplash with decorative insert above the cooktop, lovely breakfast area with abundant windows overlooking the backyard, built in beverage center and bar, high end stainless appliances and a walk in pantry. 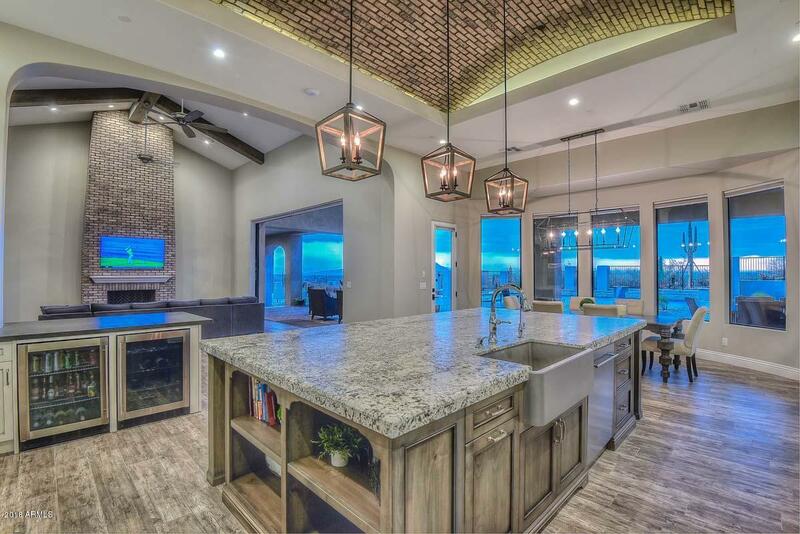 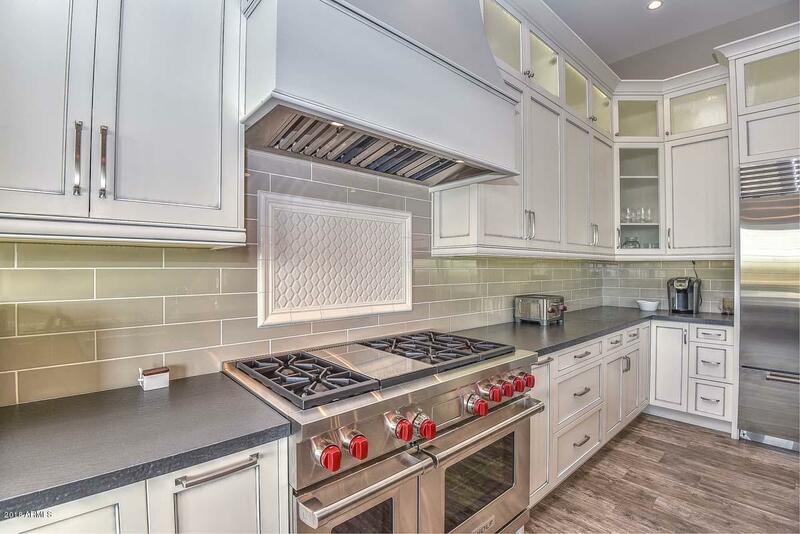 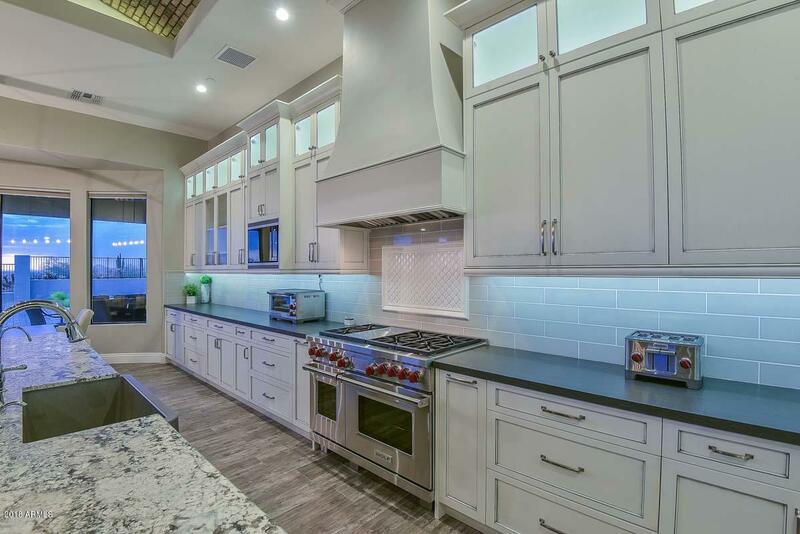 There is so much to love about this kitchen. 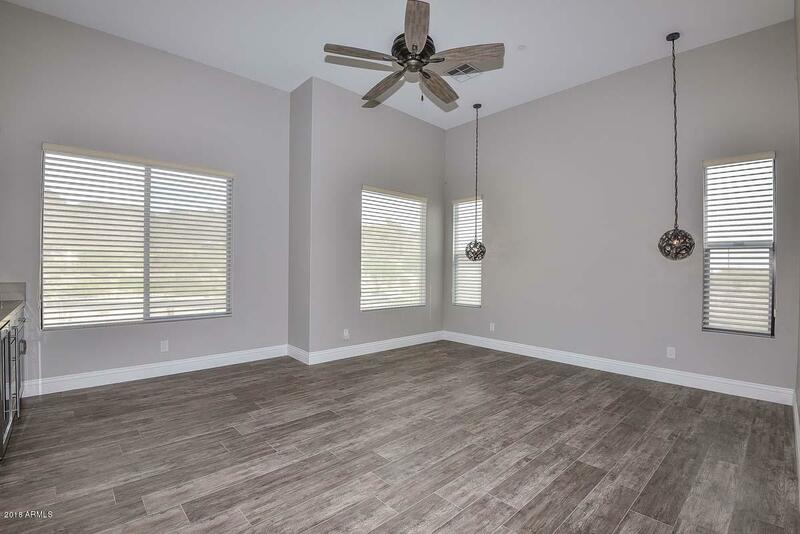 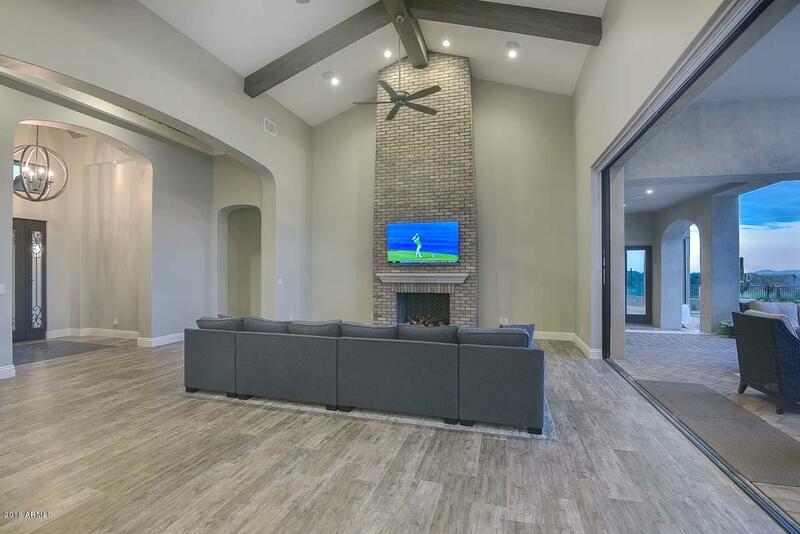 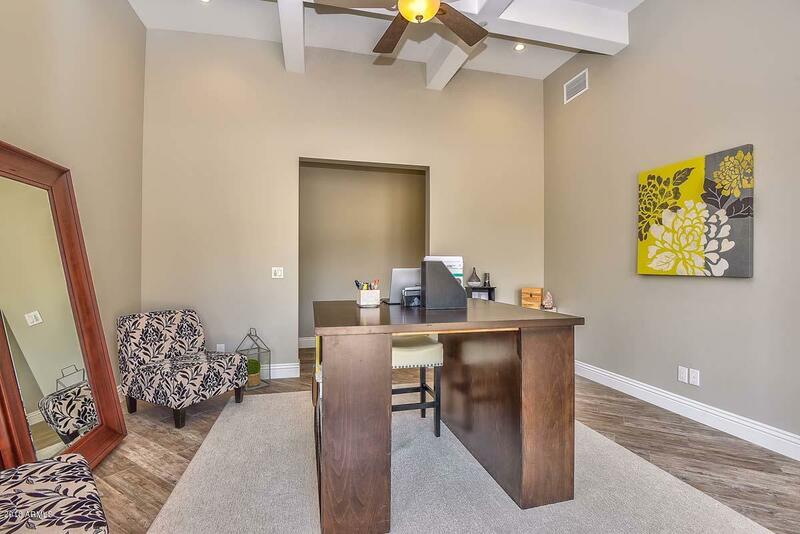 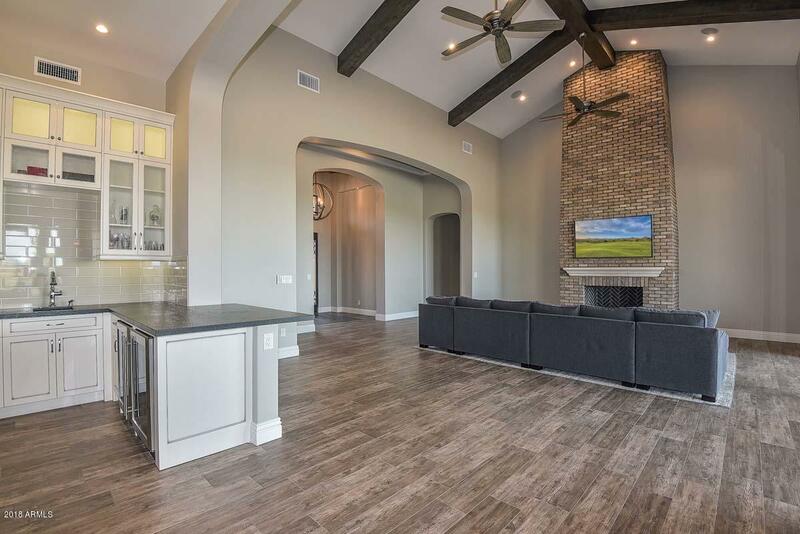 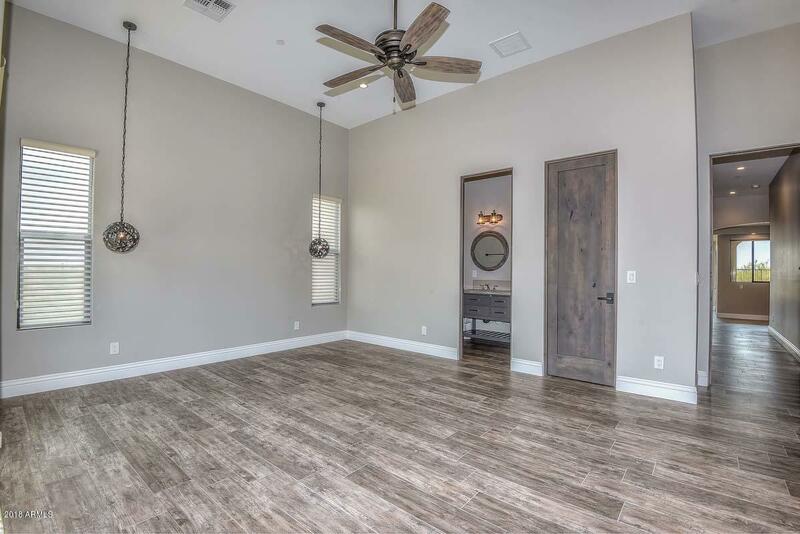 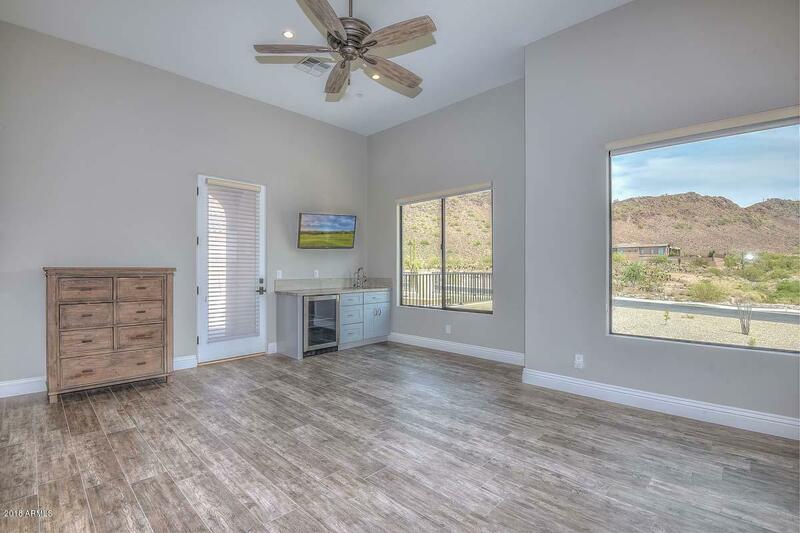 The master retreat has a brick wall that is on point, master seating area with sliding barn door, coffered ceilings and windows everywhere! 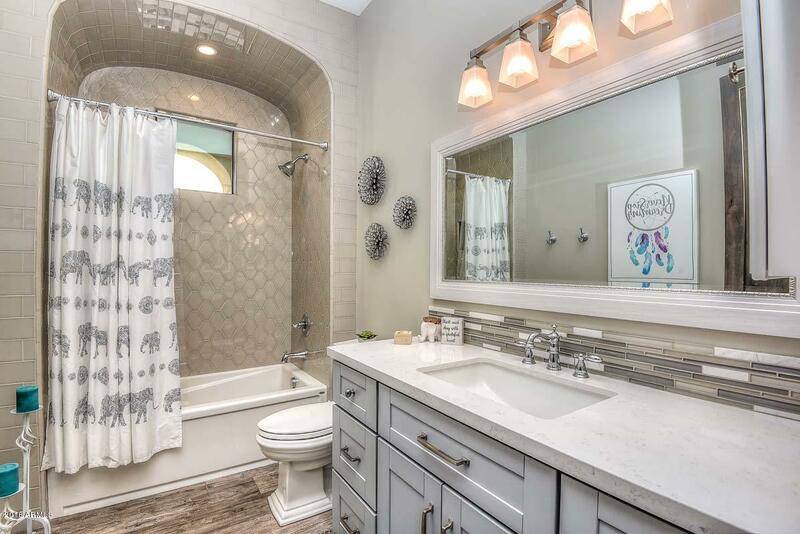 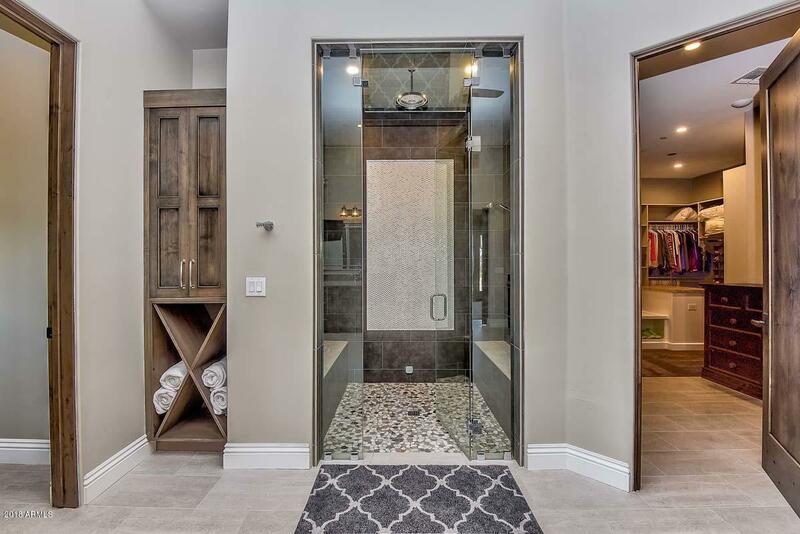 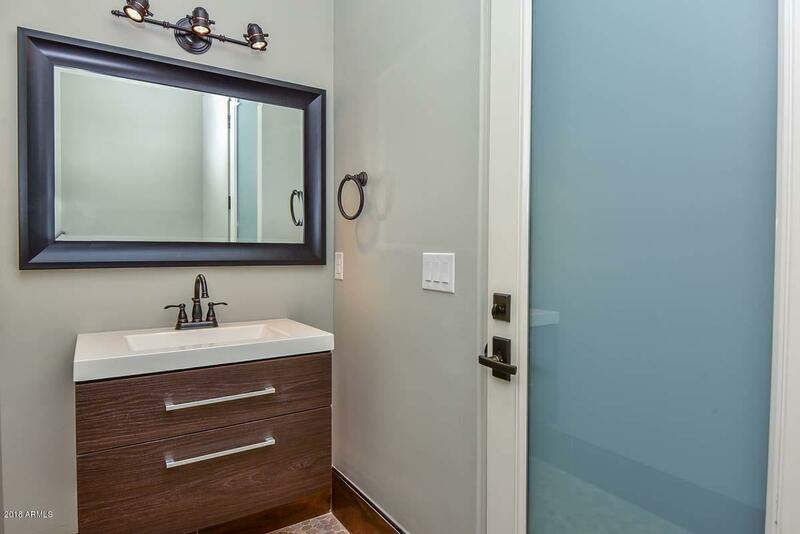 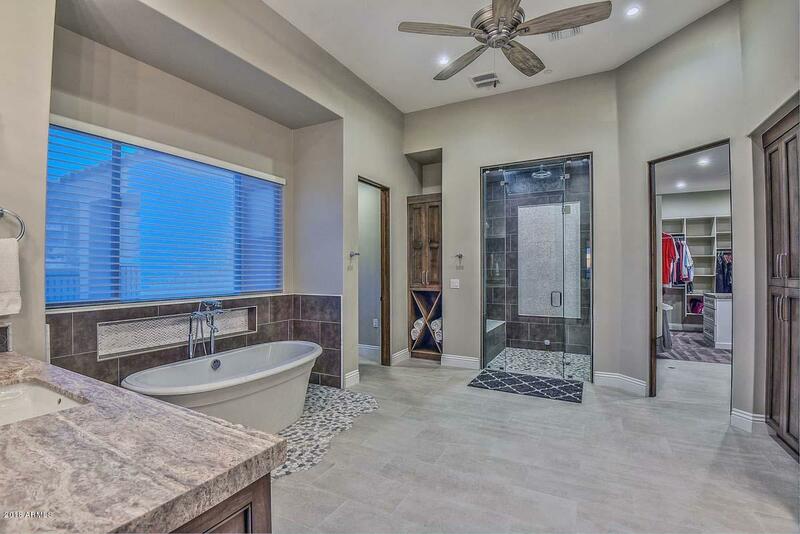 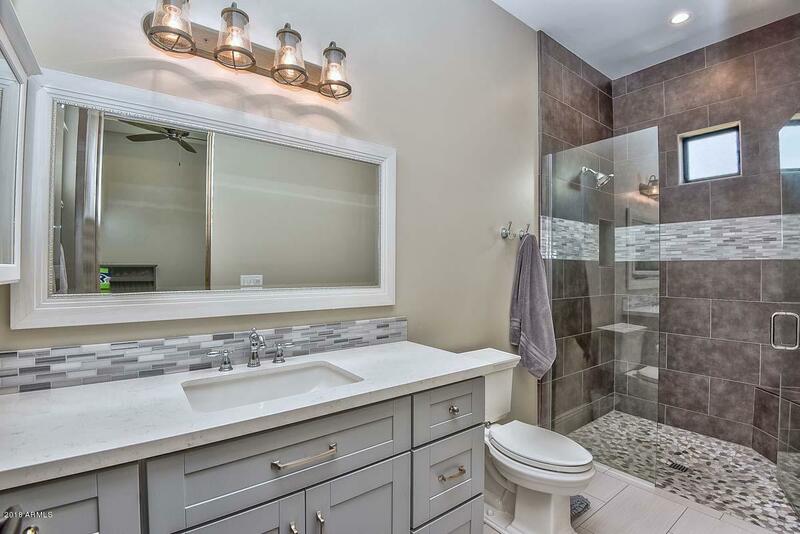 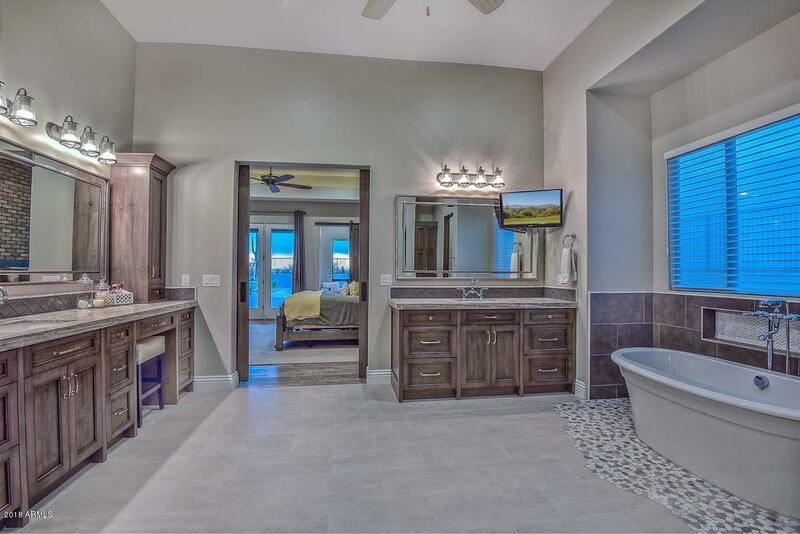 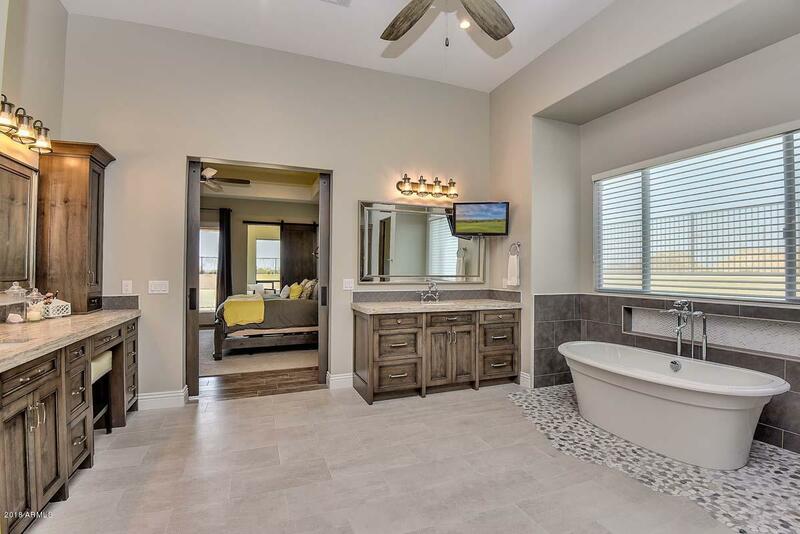 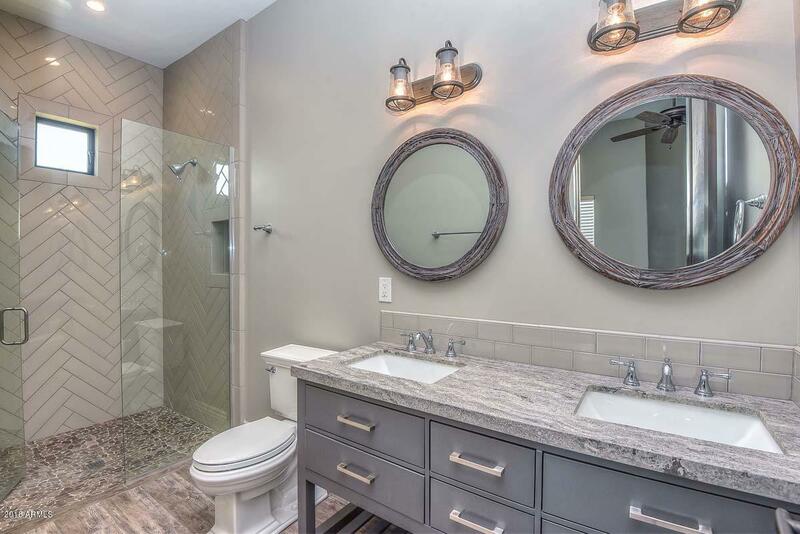 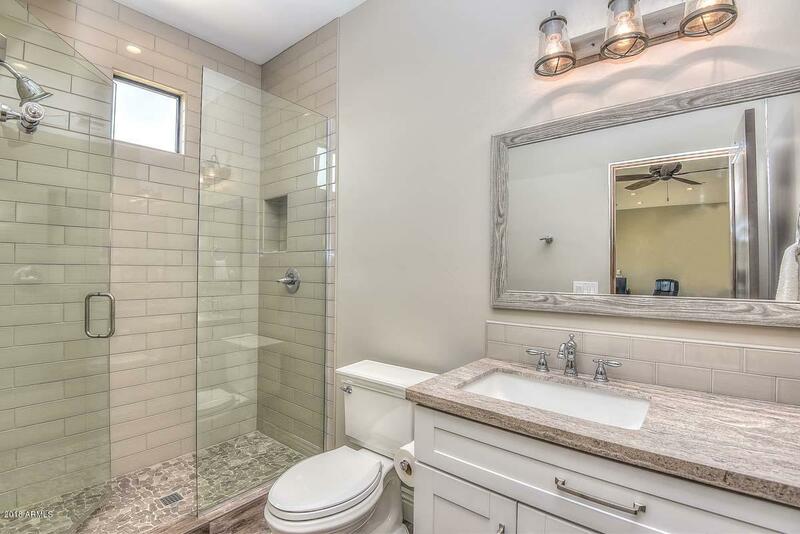 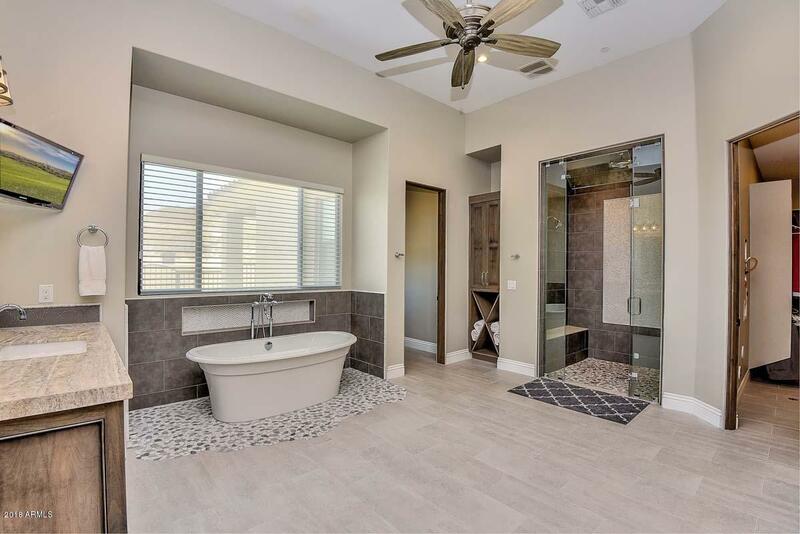 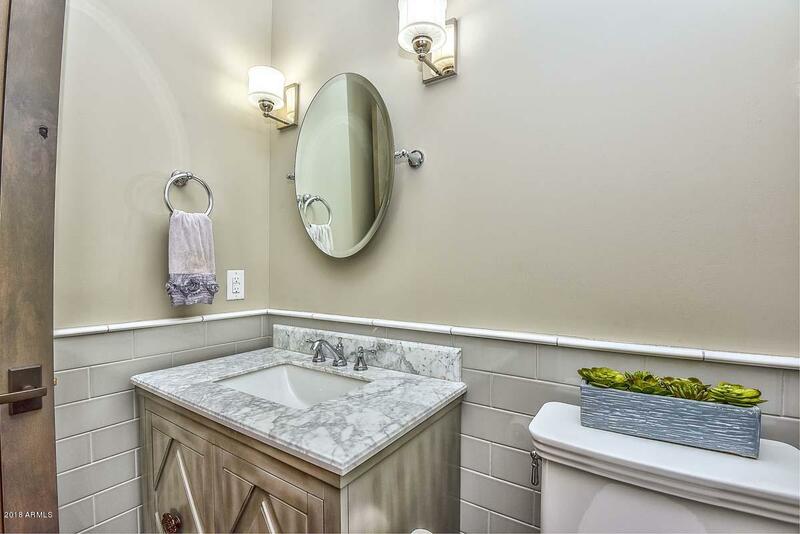 Master en suite bath is a dream with a slipper tub sitting on a rock like looking tile that matches the base of the shower - so very spa like - you will never want to leave this space. 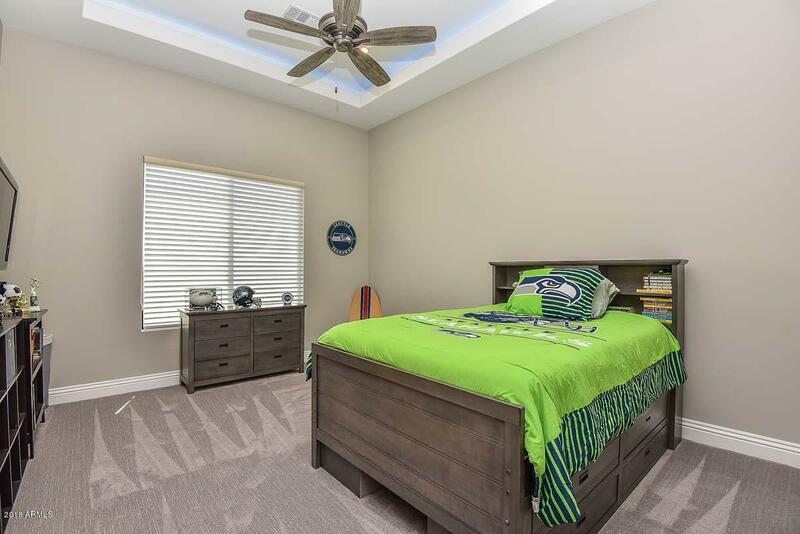 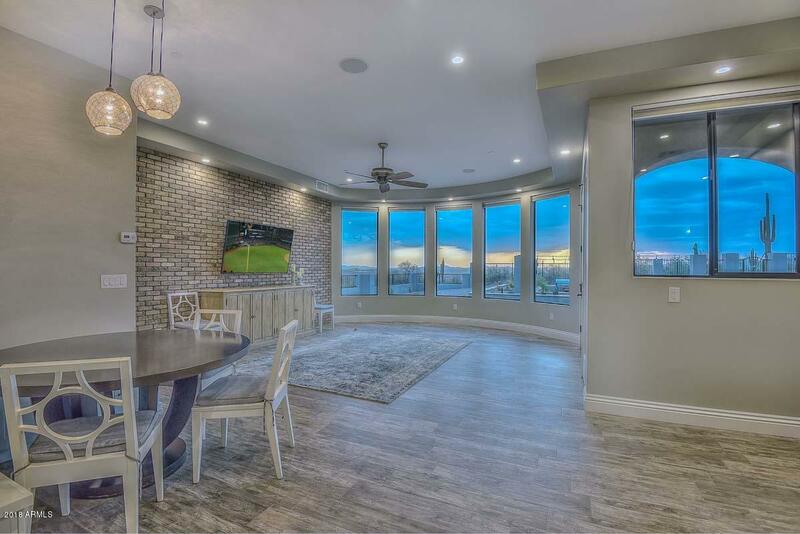 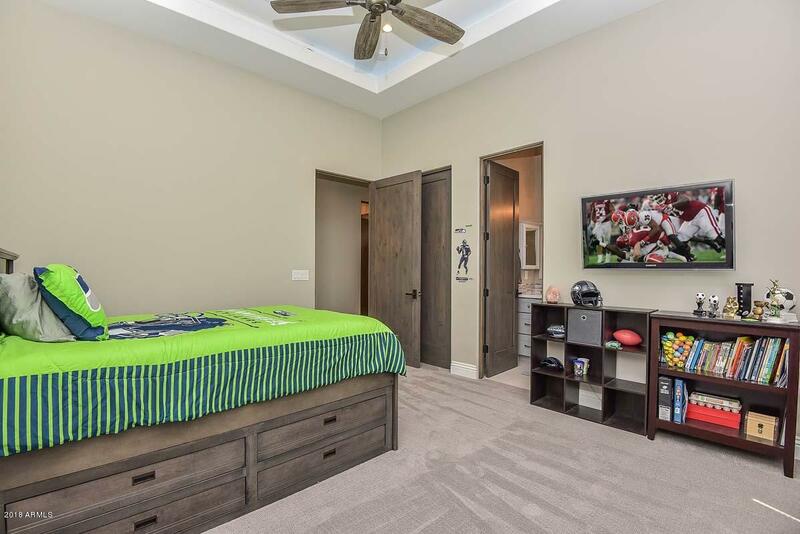 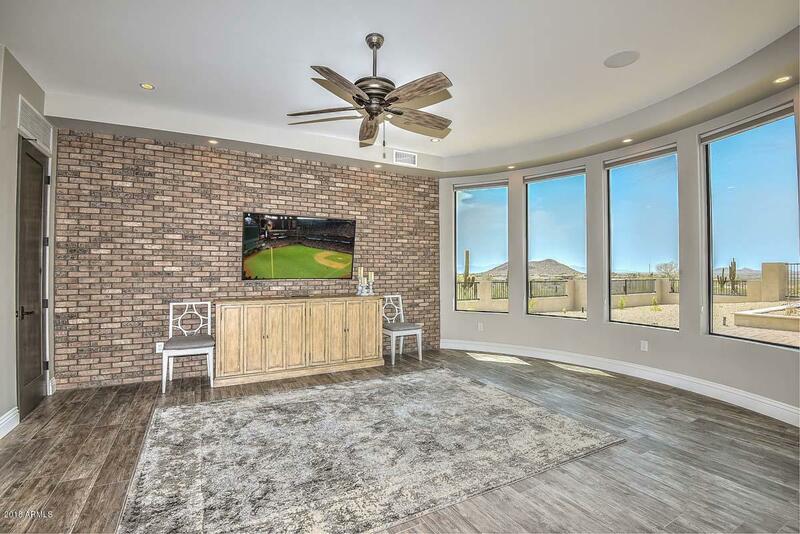 Terrific game room off the patio with a brick accent wall and a circular bay window that takes every advantage of the view. 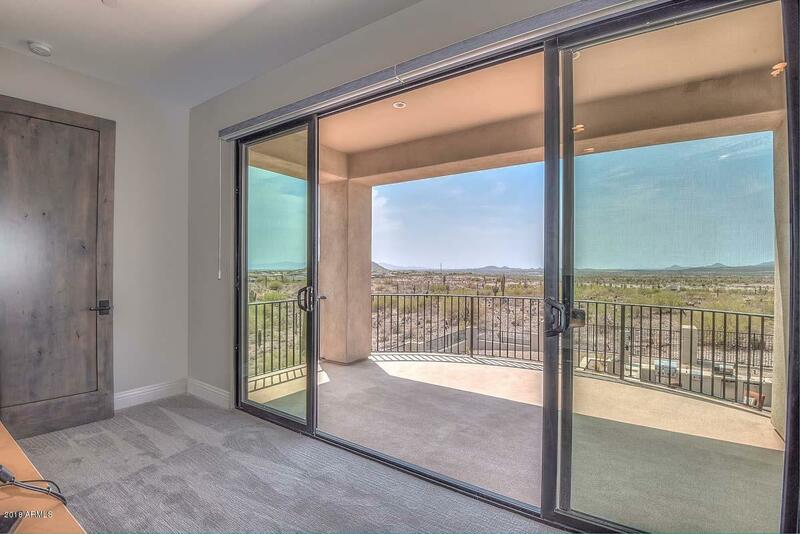 Upstairs bedroom currently being used as an office but with views like this off the balcony - there would be no work that could top that. 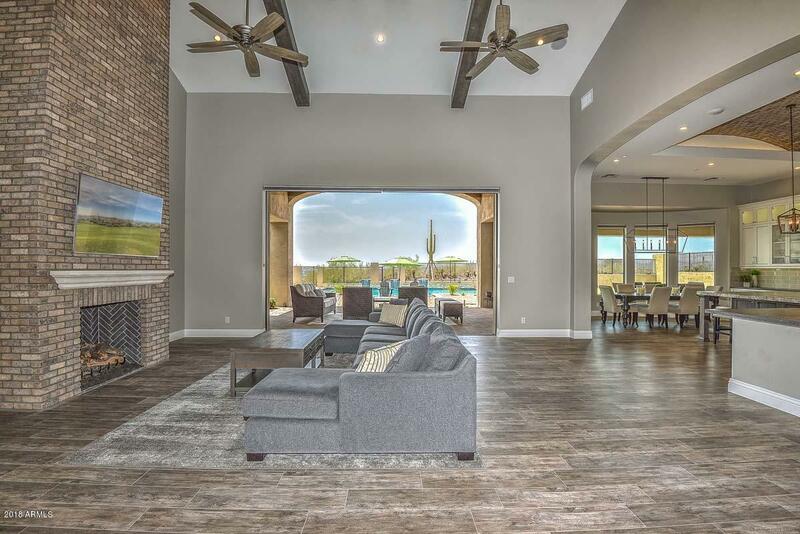 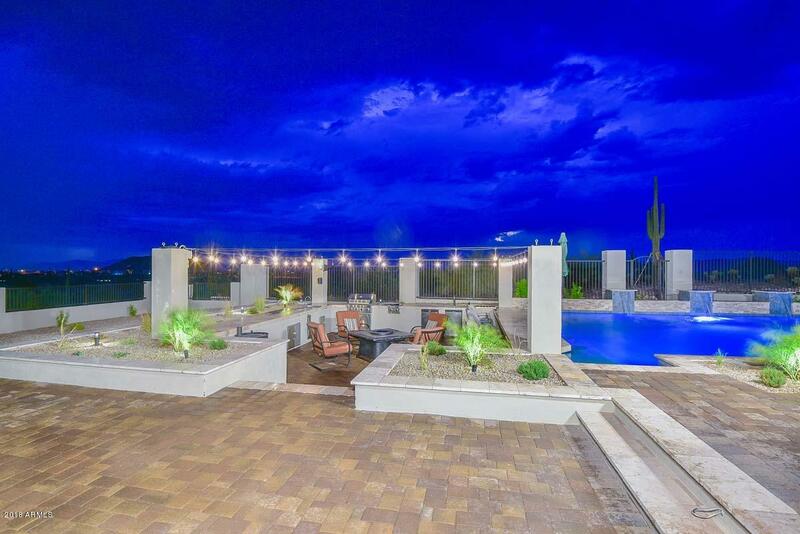 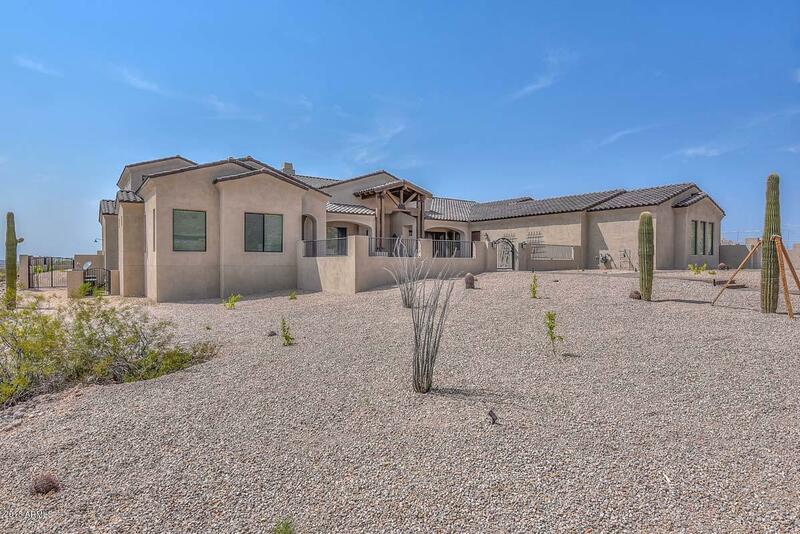 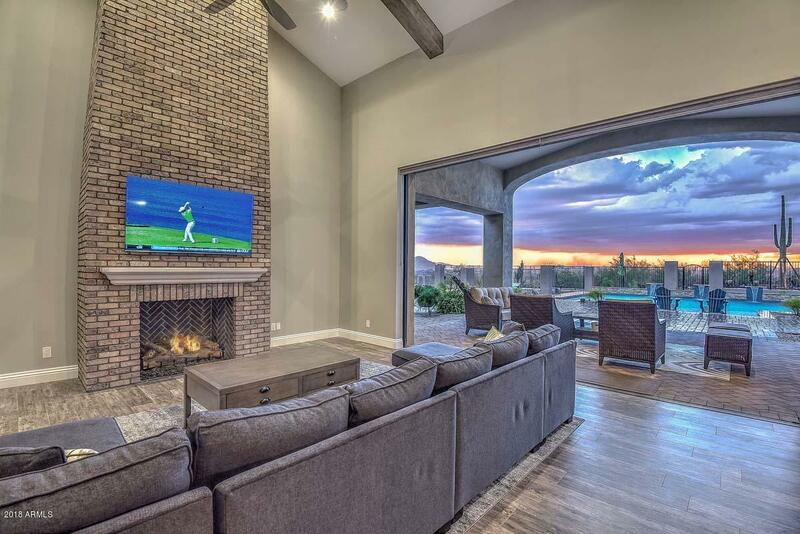 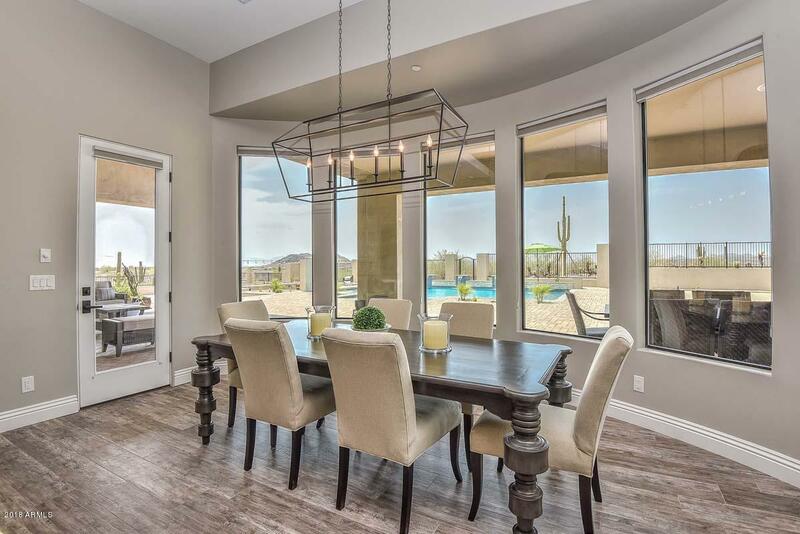 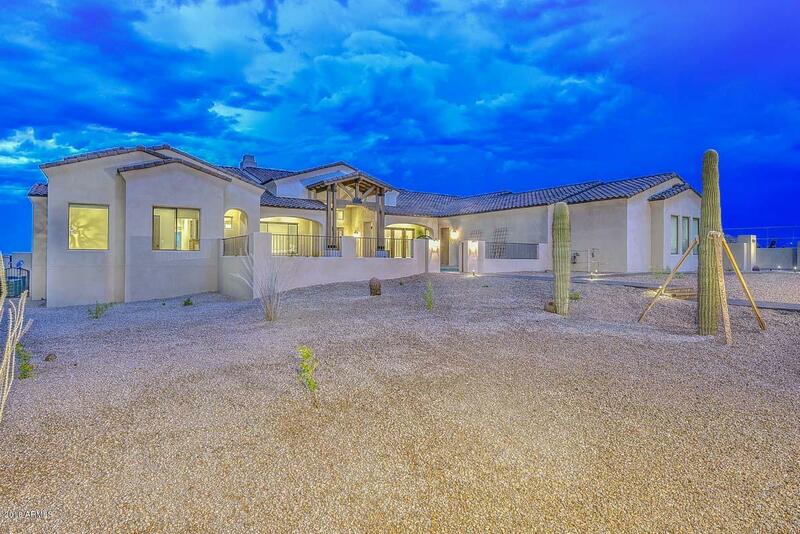 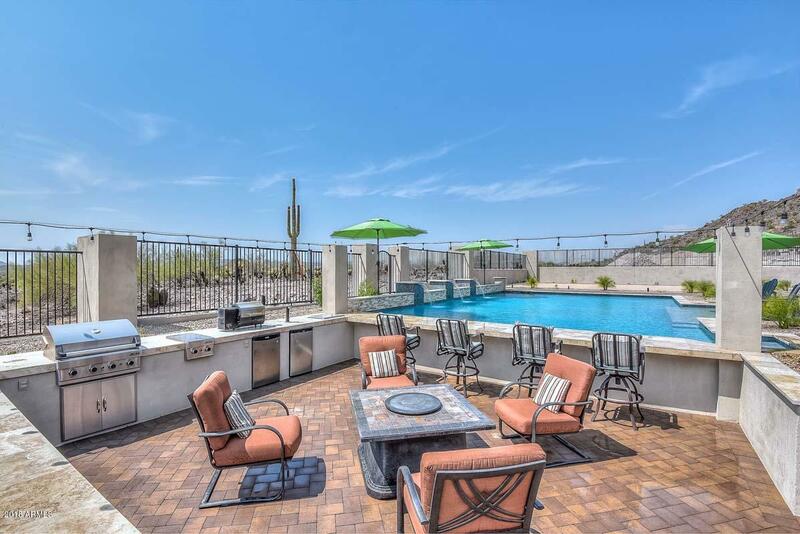 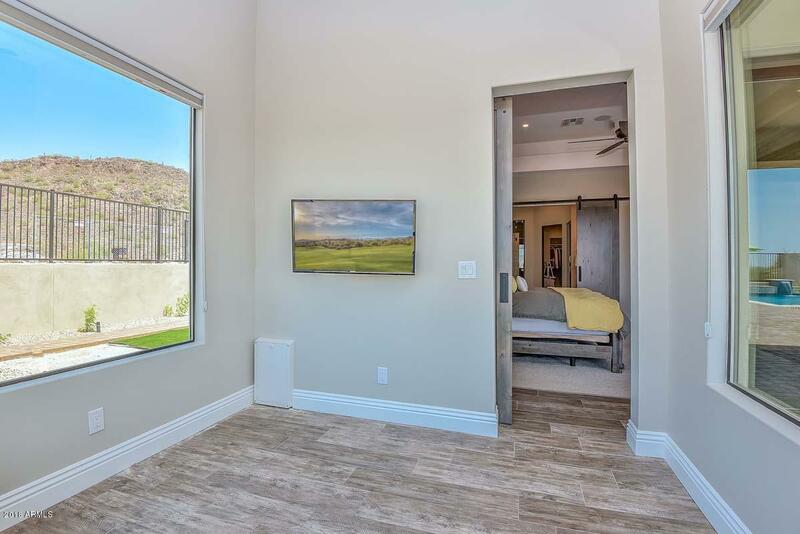 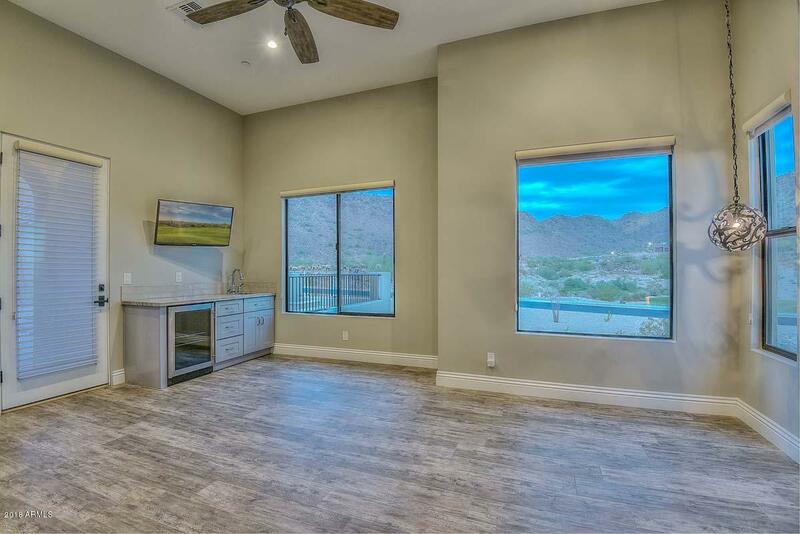 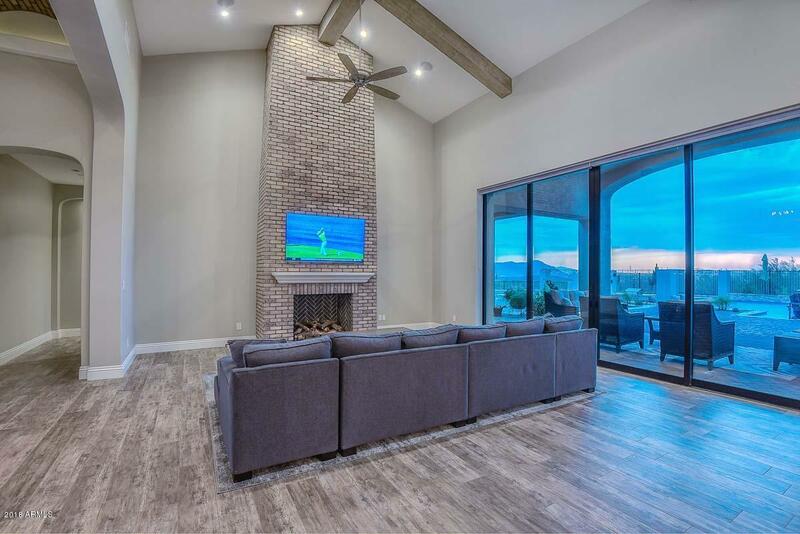 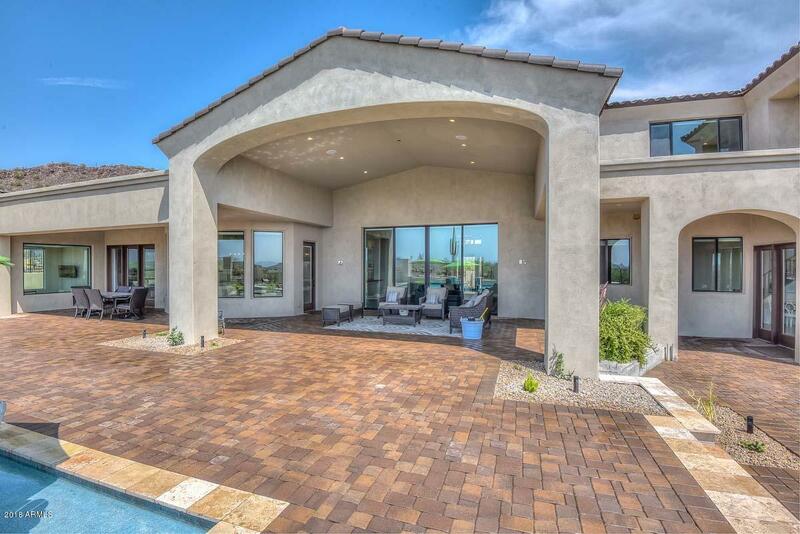 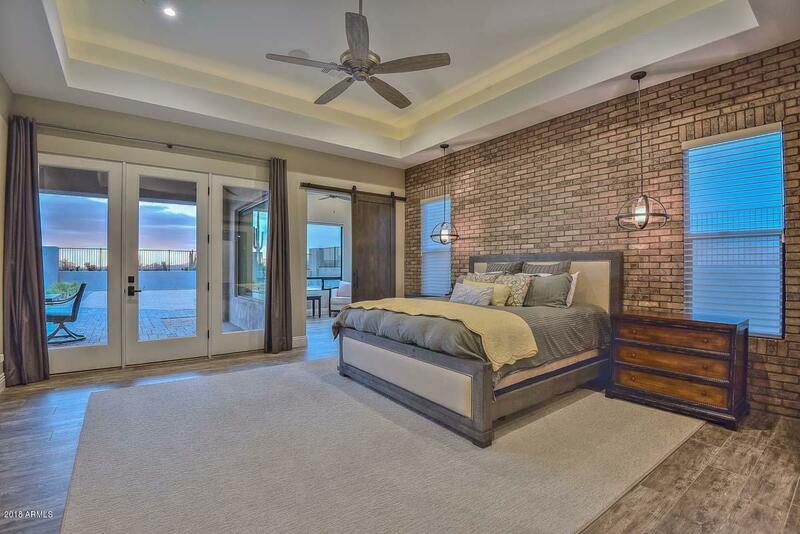 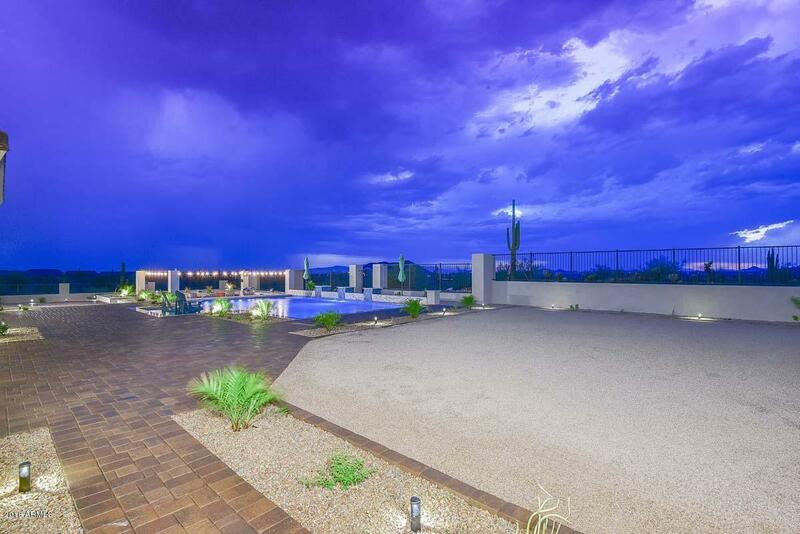 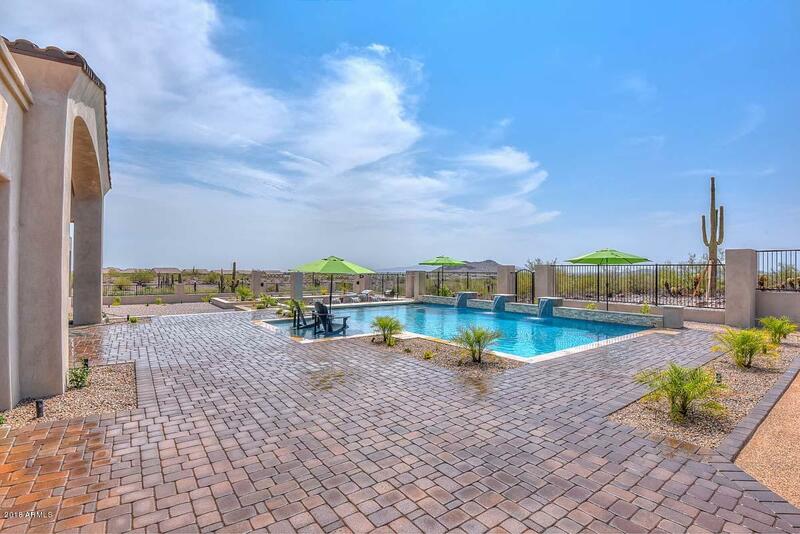 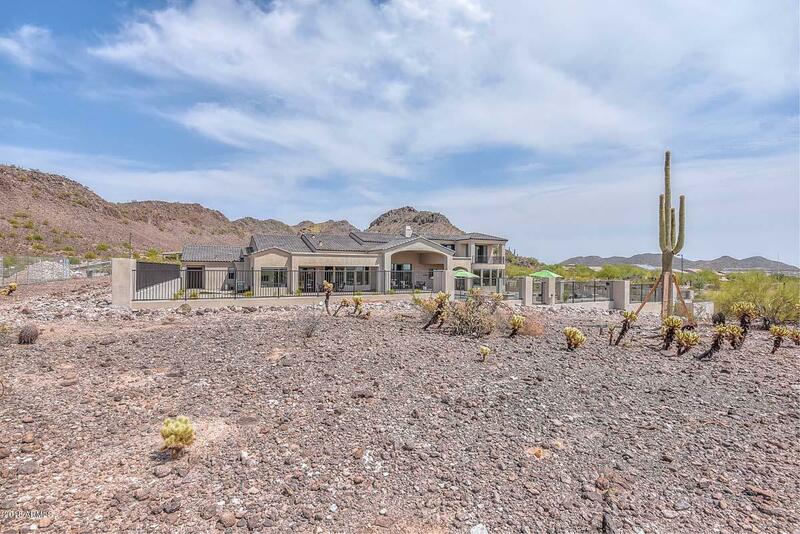 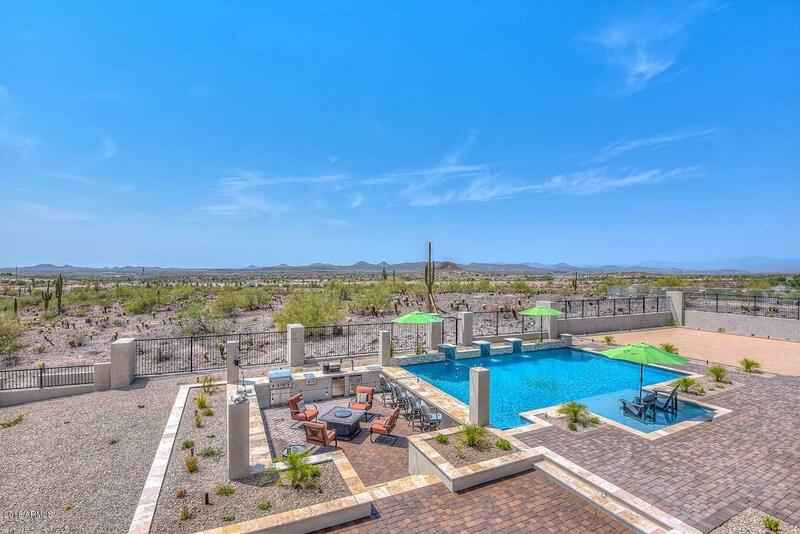 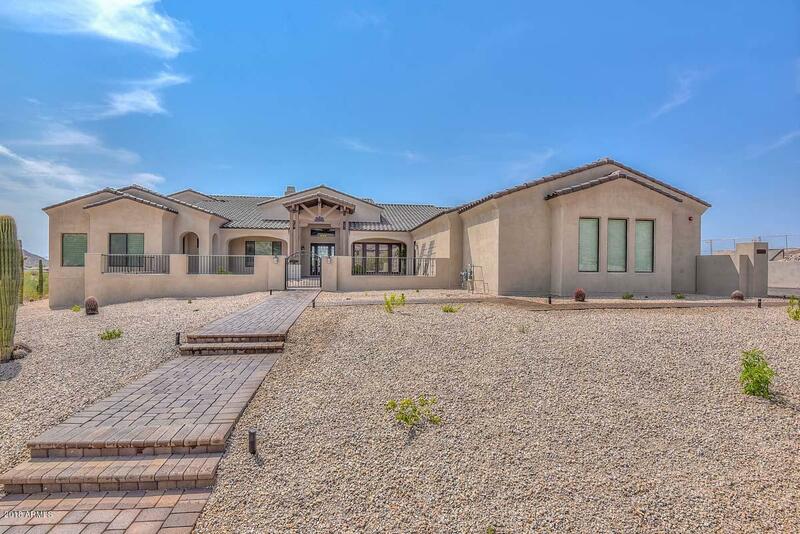 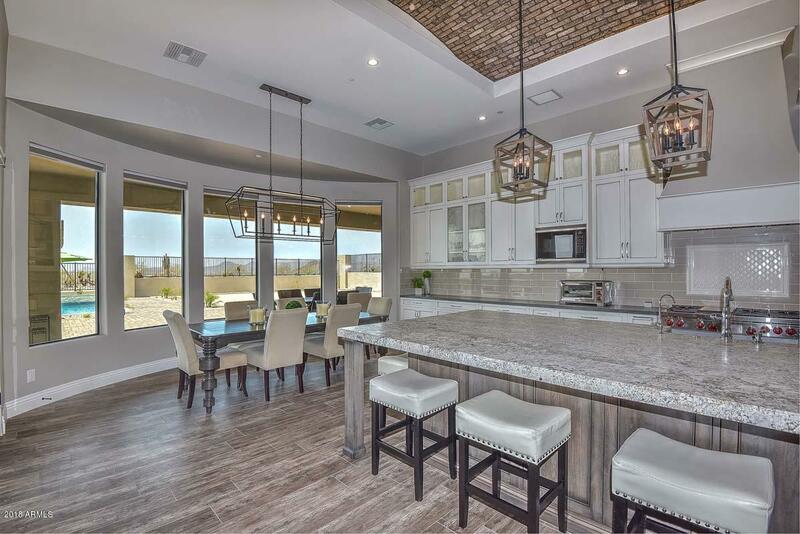 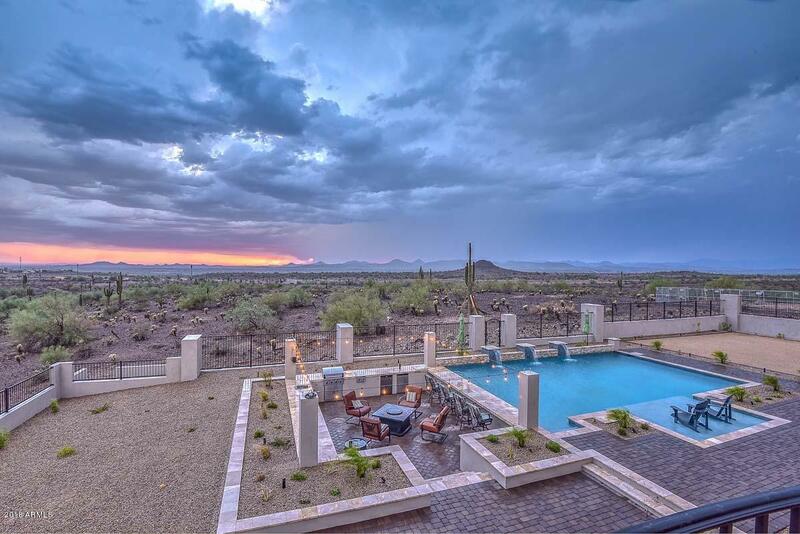 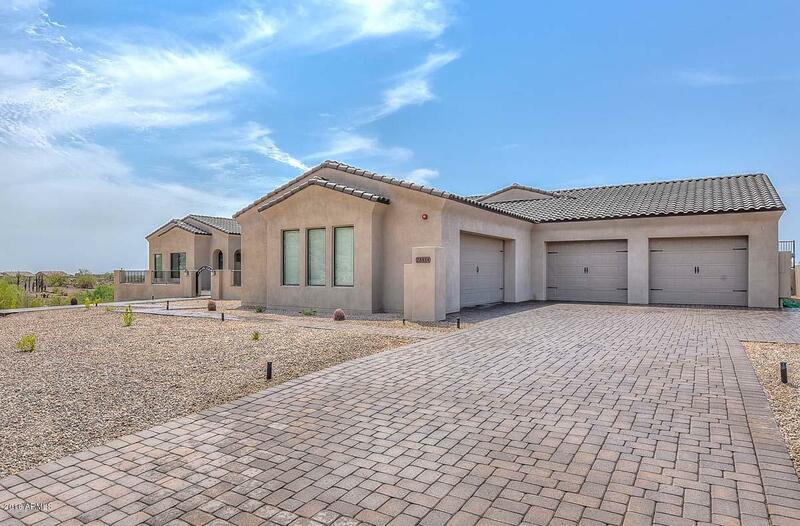 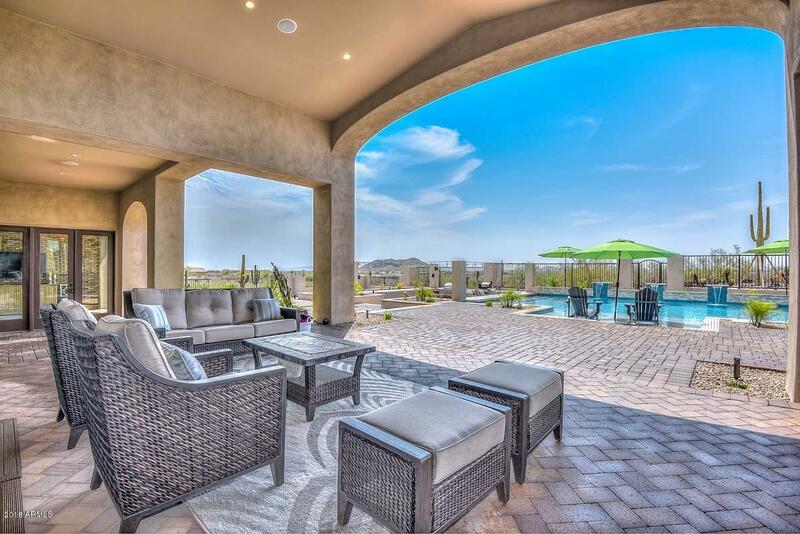 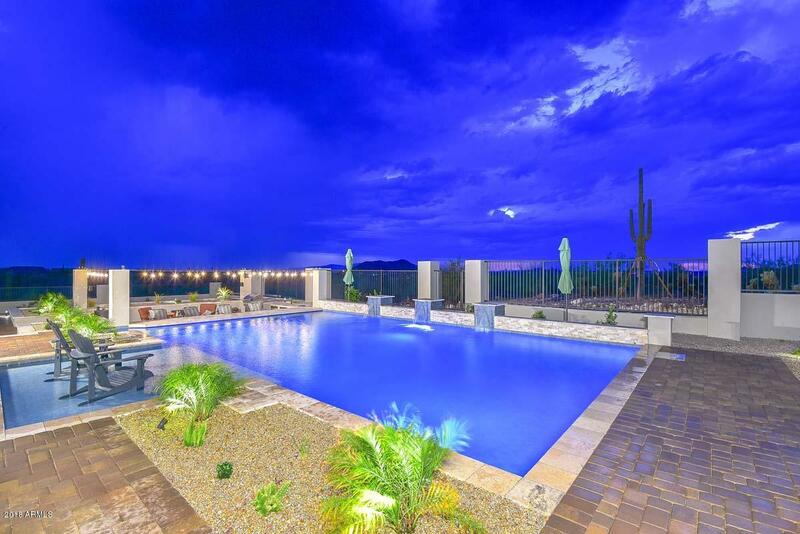 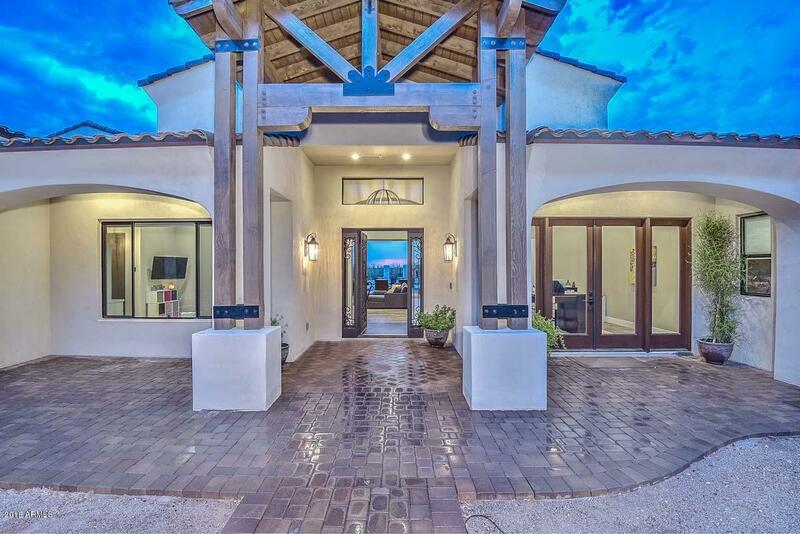 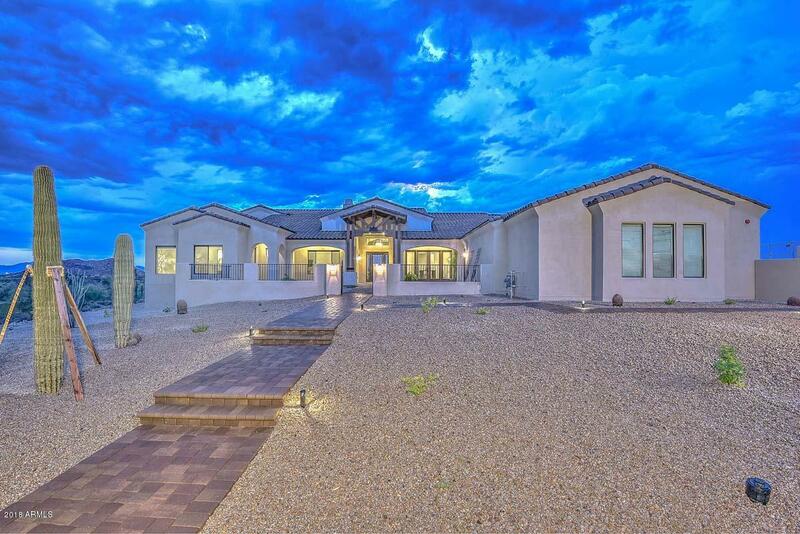 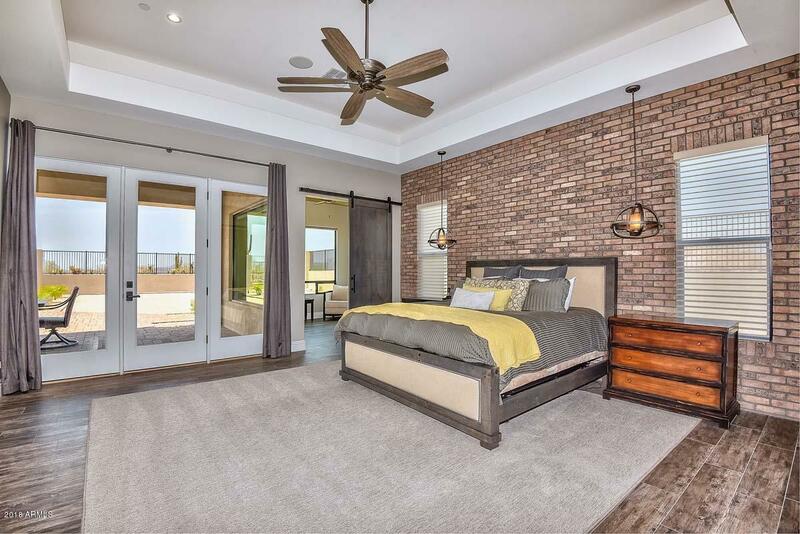 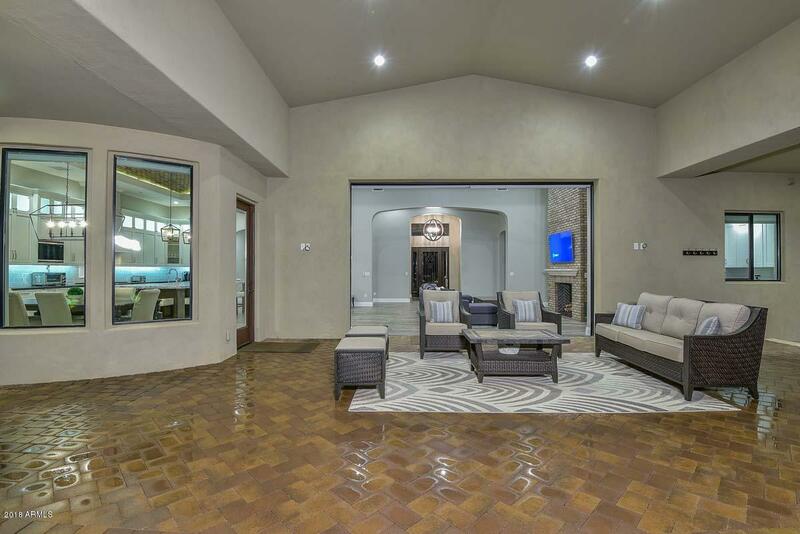 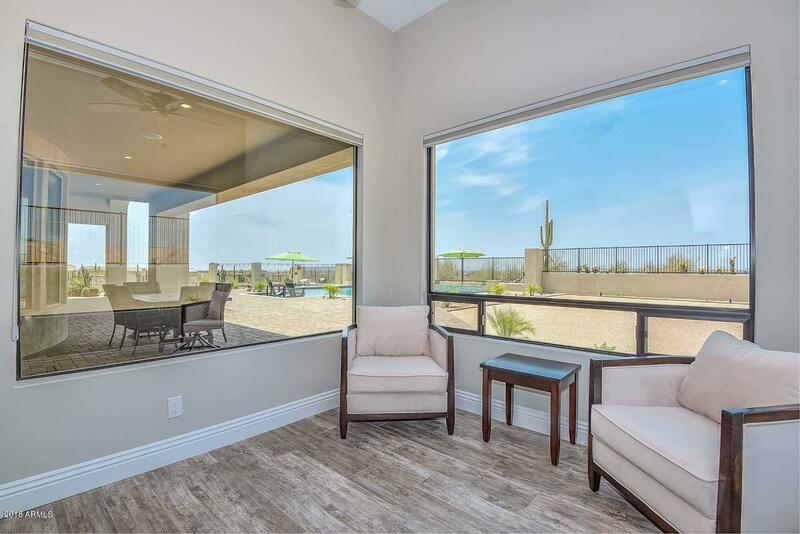 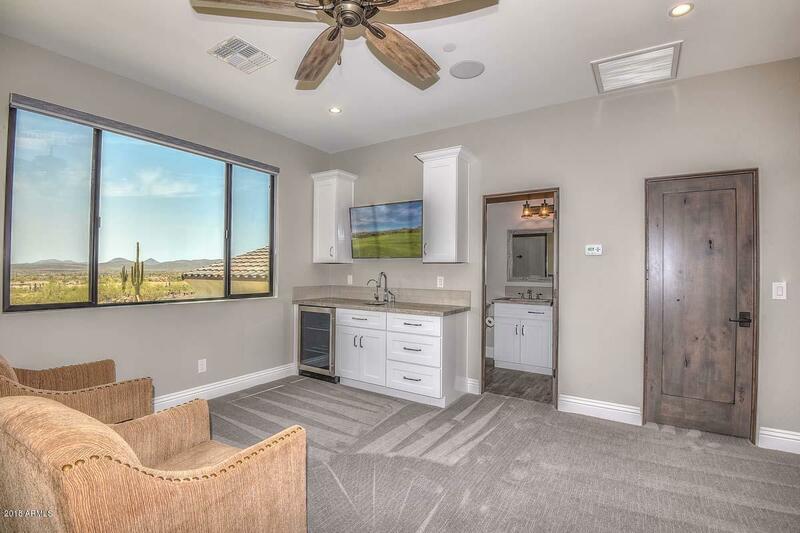 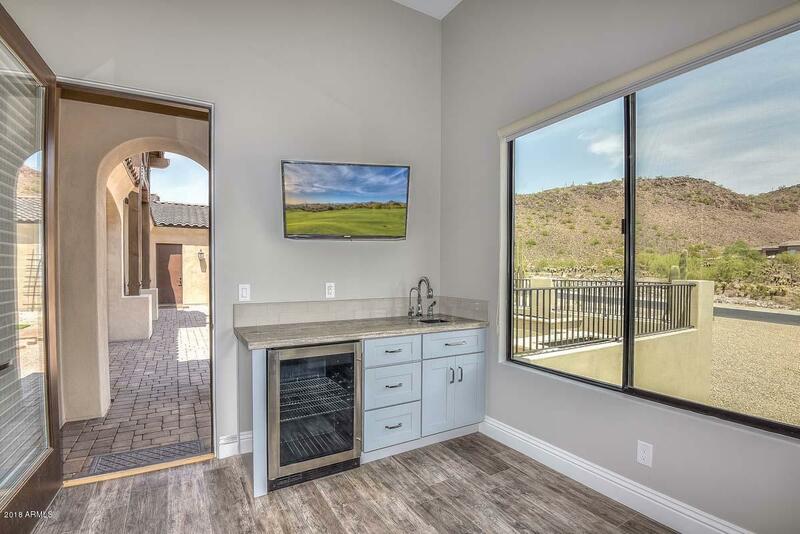 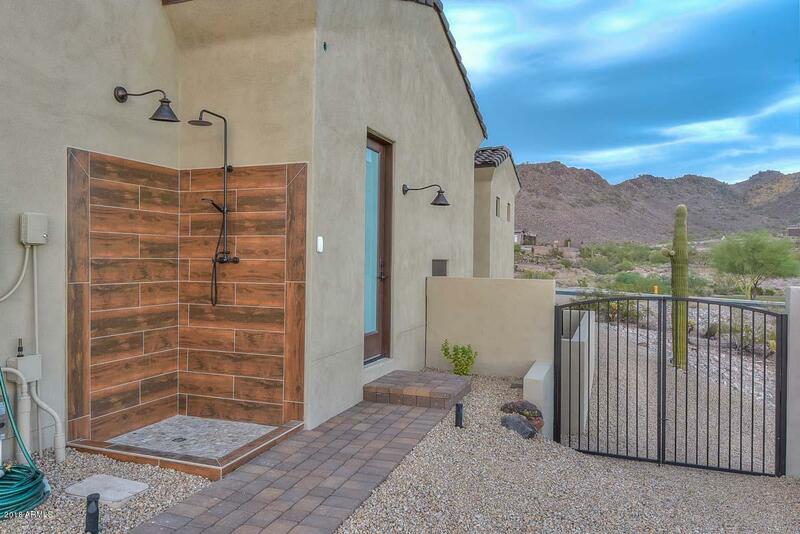 Outside living is just as impressive with a large covered patio with extensive pavers leading to the wade in pool that features water falls, swim up bar and BBQ area and an outdoor shower all overlooking the desert scenery. 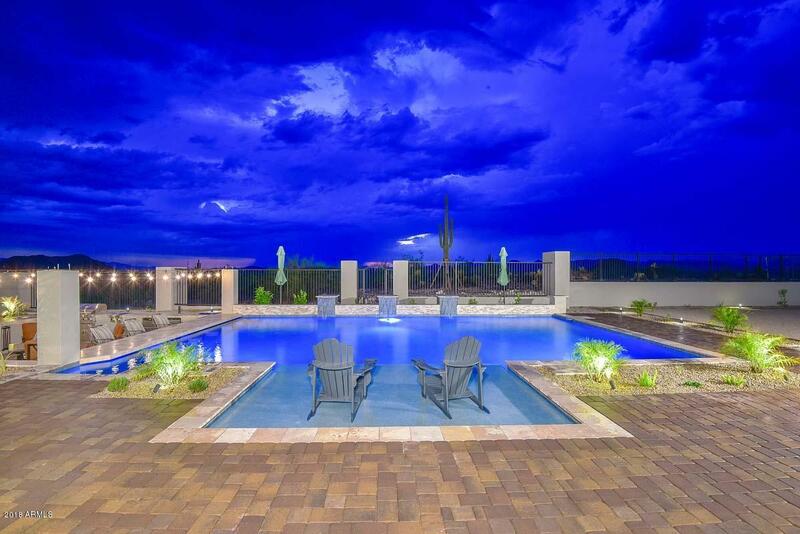 You really need to experience this spectacular home for yourself - there is so very much to love.